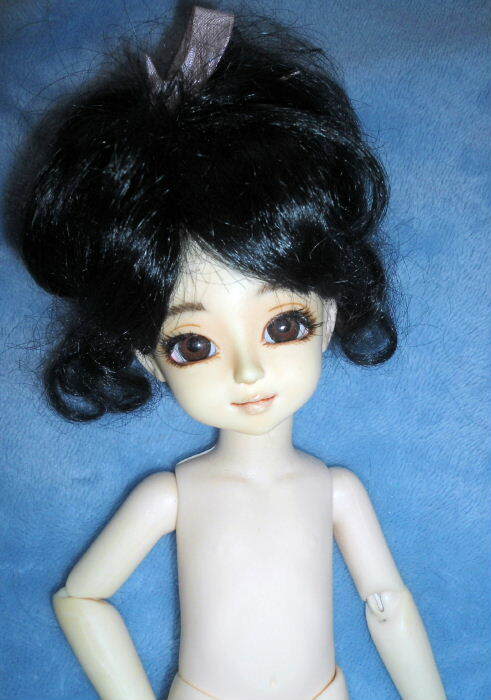 I'm selling my 15cm NSP Nissa Elfkin BJD (Bobobie) with one full outfit, shoes, Bunny toy, and wig. She's ready to go! The doll herself is in good-excellent condition, with light use (mainly just displayed on a shelf) and she has been semi-wired for added posability. She is in great, clean condition, and is too adorable! Her elf ears have been carved off so she now has regular human style ears. Her hands have been replaced with adorable 'Asleep Eidolon' brand 1:12 hands that pose in the 'heart' shape for added cuteness. They're a little more yellow than her NS-P skintone but still not too terrible a match. In person, they match better than the photos suggest. 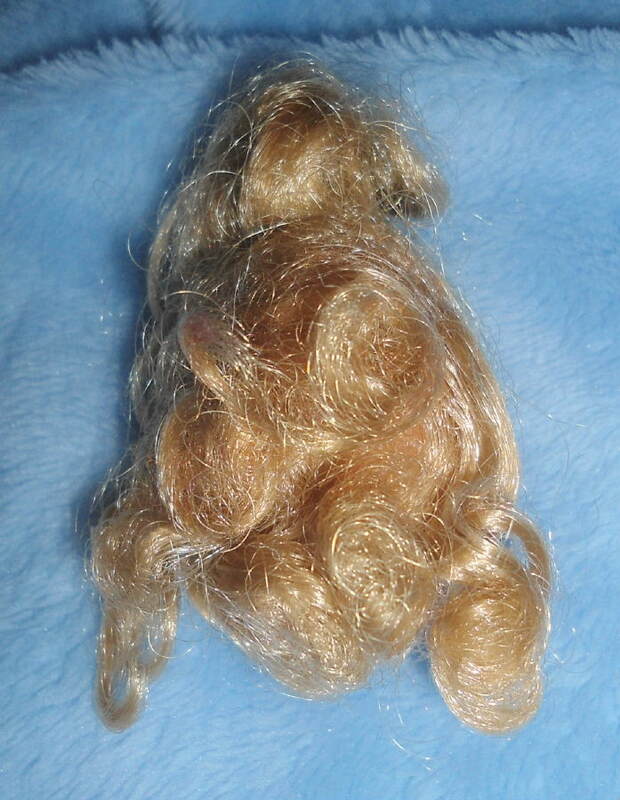 I'm including a handmade brown silky curly fur wig (too cute on her!) 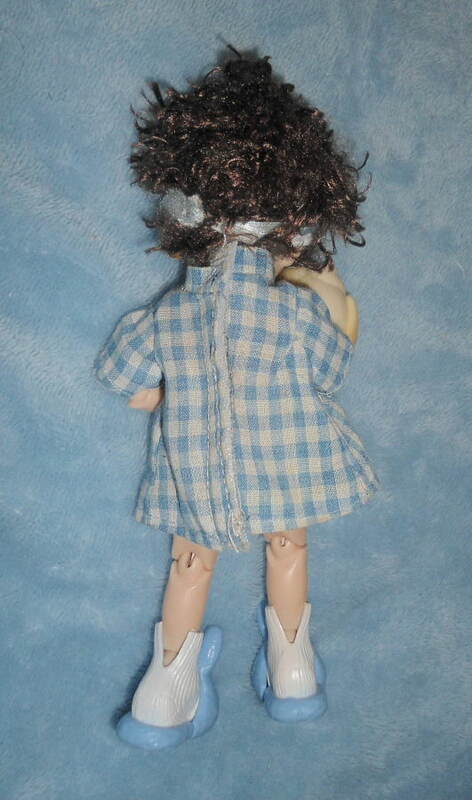 as well as a cute blue plaid outfit ensemble. (Not in perfect condition but still cute). 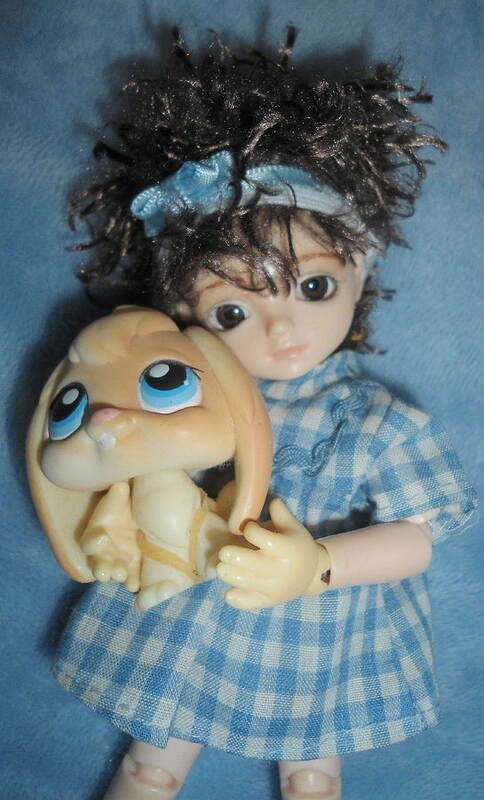 She carries a cute little bunny toy and on her feet are blue bunny slippers, and she has lovely realistic cocoa brown acrylic eyes. You'll get all you see in the photos. 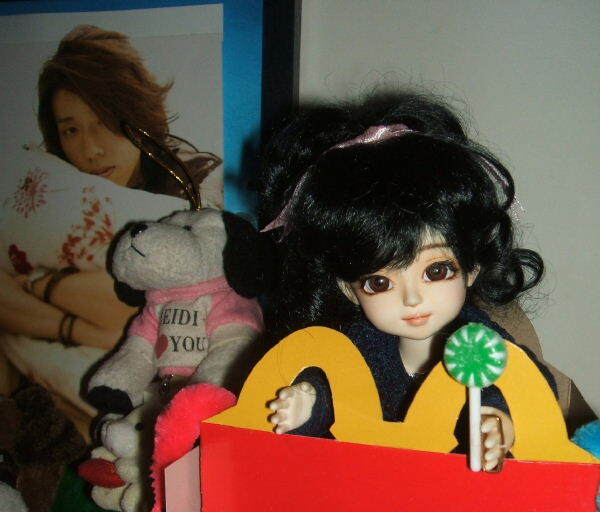 I'm selling my 27cm NS Raffy BJD (Custom House Ange Ai Korea) with one full outfit, shoes and wig. She's ready to go! The doll herself is in good-excellent condition, with light use (mainly just displayed on a shelf) and she has been semi-wired for added posability. She is in great, clean condition, except with one slight stain? mark? on her inner left elbow joint. It will probably come off with some light cleaning. 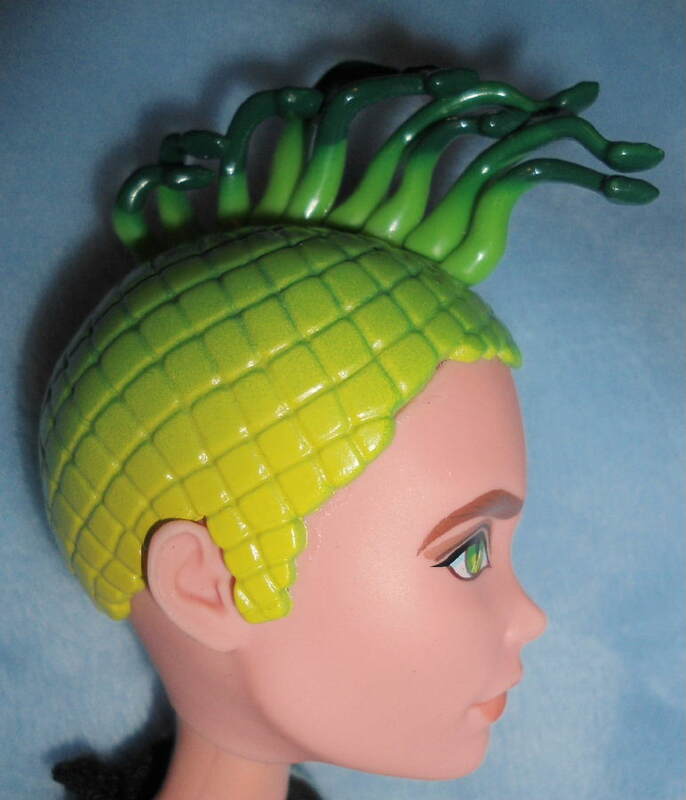 She has the seam lines on her as is normal from Custom House. I'm including a Monique Gold Collection Synthetic Mohair wig in black-brown high ponytail style, as well as a cute pink outfit ensemble. 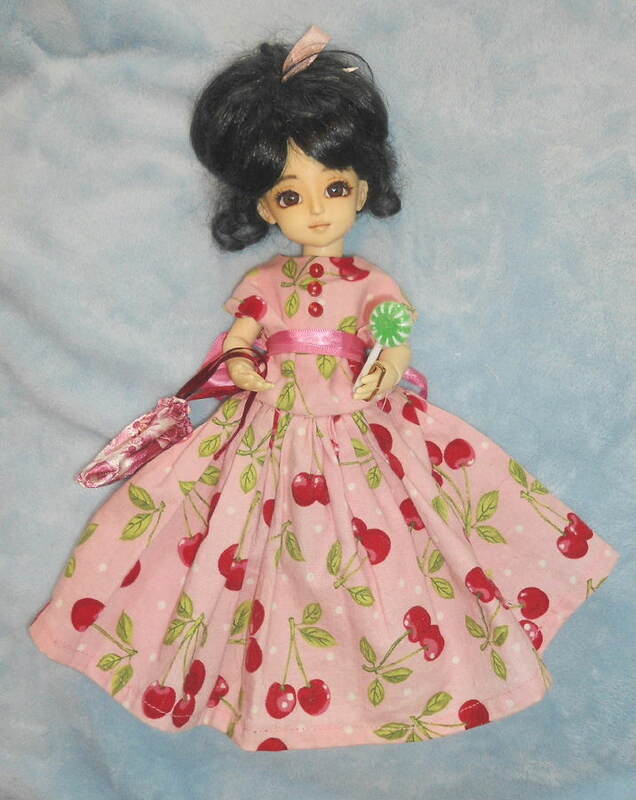 (Dress with cherries on it---too big for her, but I tied a satin pink ribbon around the waist and it gives a darling effect!) 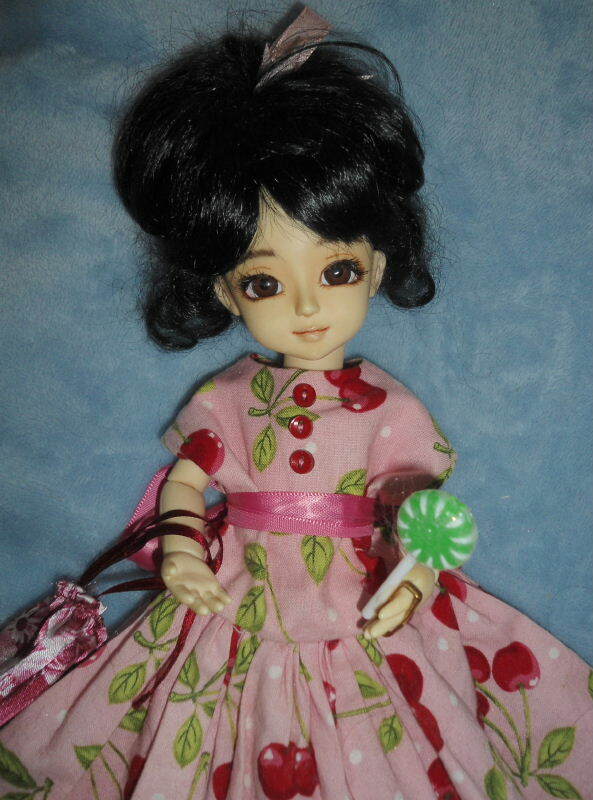 She carries a little pink satin bag/purse and a green 'lollipop' accessory. 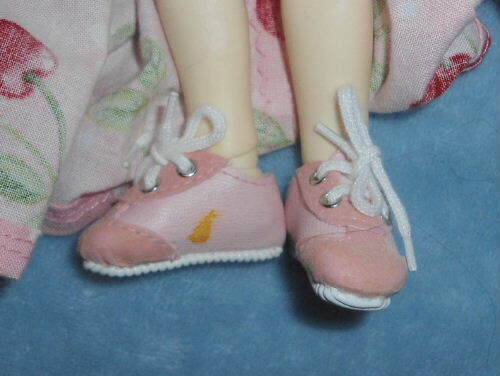 On her feet are pink sneakers (some marks on them--see photos for detail) and she has lovely realistic cocoa brown acrylic eyes. 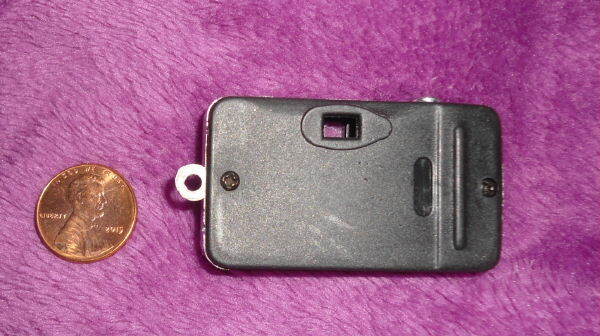 BJD DOLL Prop Point & Shoot Camera for 60cm DD/Obitsu 60cm/ 1/3 BJD or even 1/4 and MSD! New but has some scuffing and marks from age/storage. 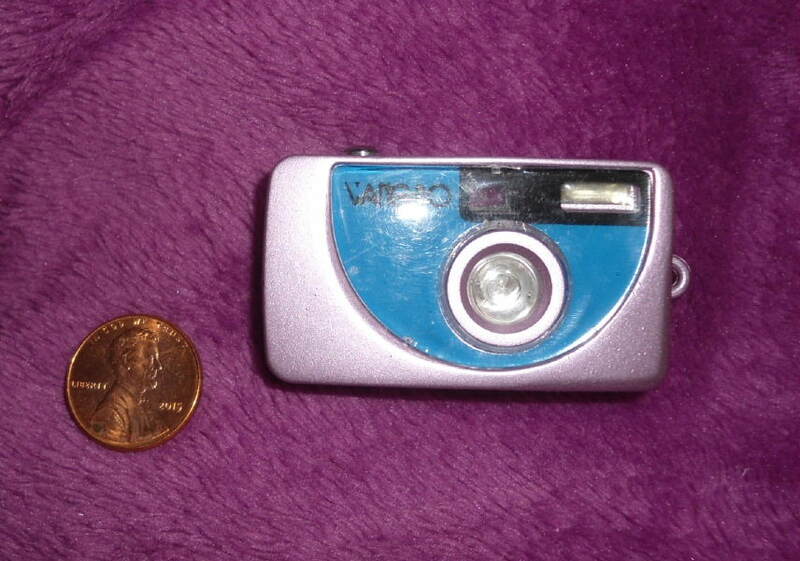 Used to light up when shutter is pressed but no longer lights up. Cute! 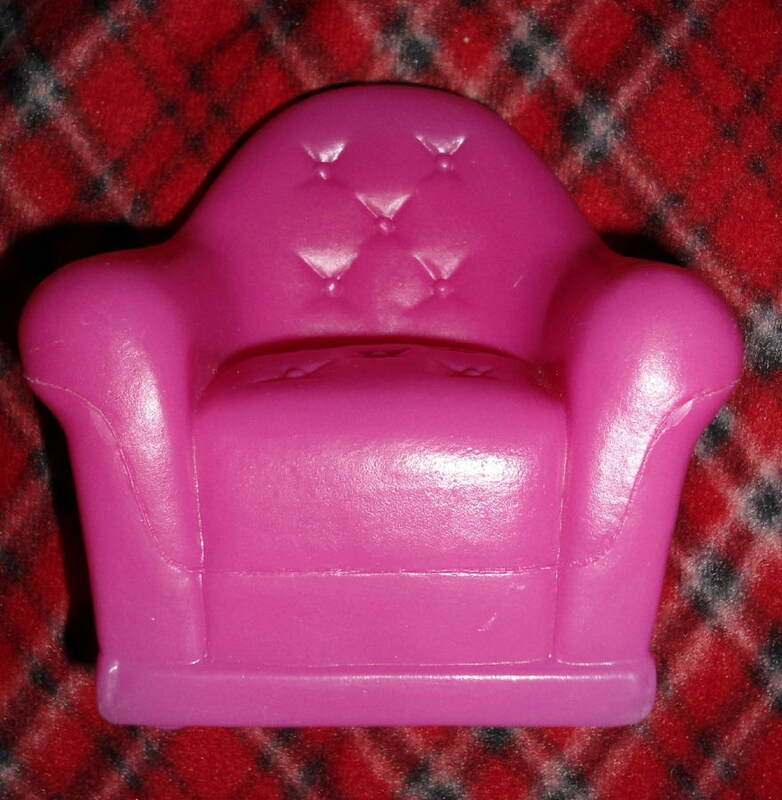 Approx 3" x 2" in size, with a lilac metallic finish. 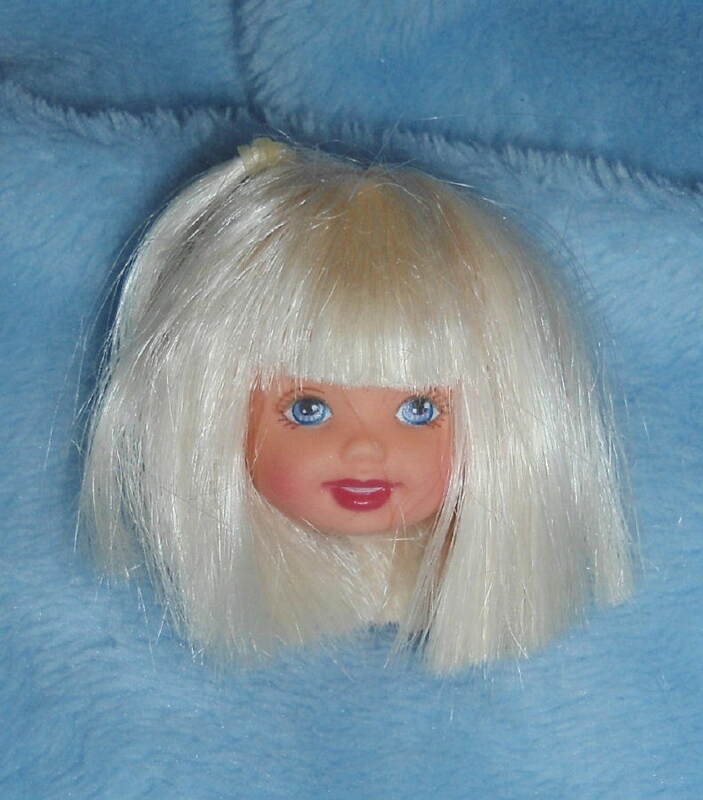 a rare, Heart Family Girl Toddler (Kelly Sized) doll head by Mattel from the late 1980s!! 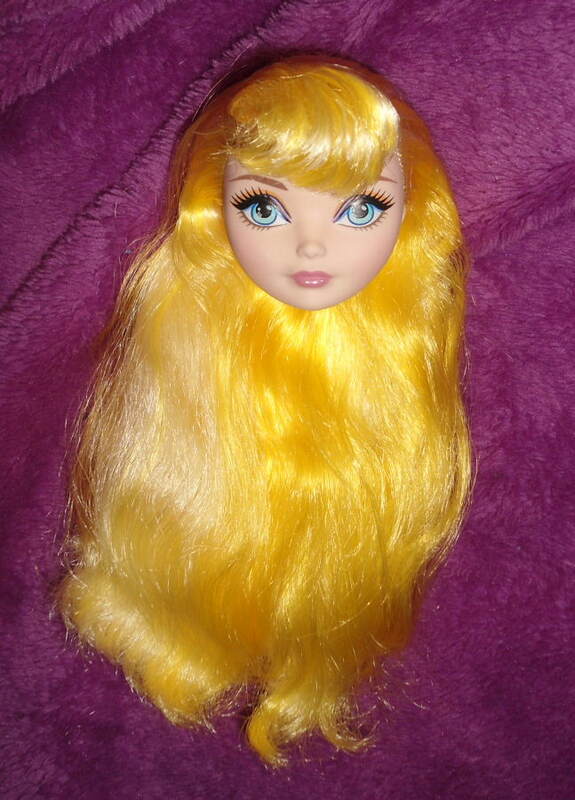 She's been in gently displayed condition, but her hair has become matted a bit from storage. She'd need a lot of TLC to get her hair back to original shape! 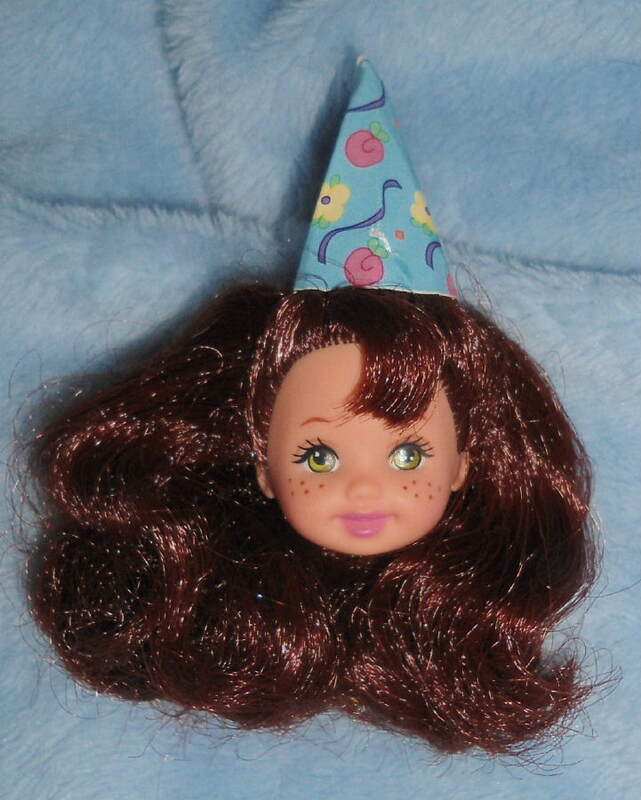 a rare, Kelly Girl Toddler (Kelly Sized) doll head by Mattel with a birthday hat on her head!!! 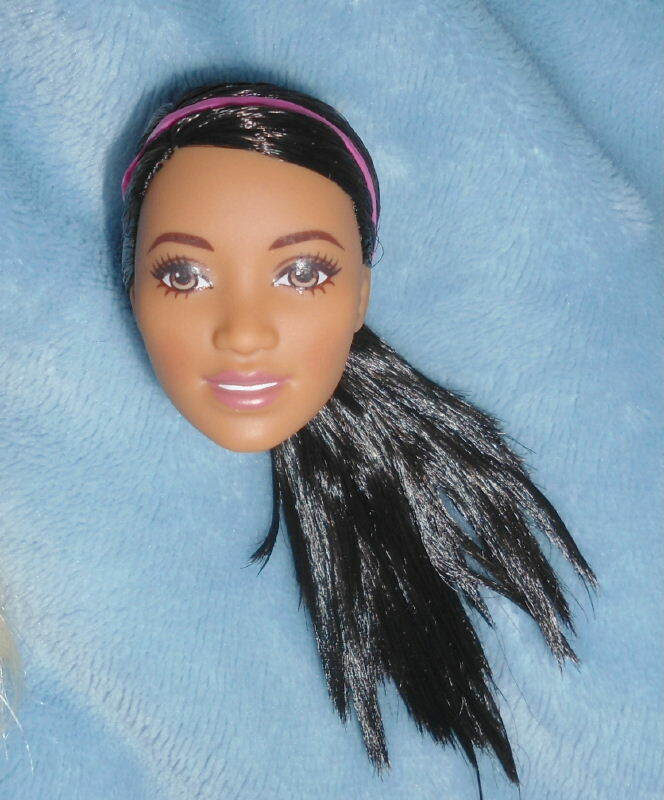 She has a fleshtone complexion and will fit most Kelly-sized bodies and even some other brand bodies! (May need some adjusting to fit on non-Mattel bodies. 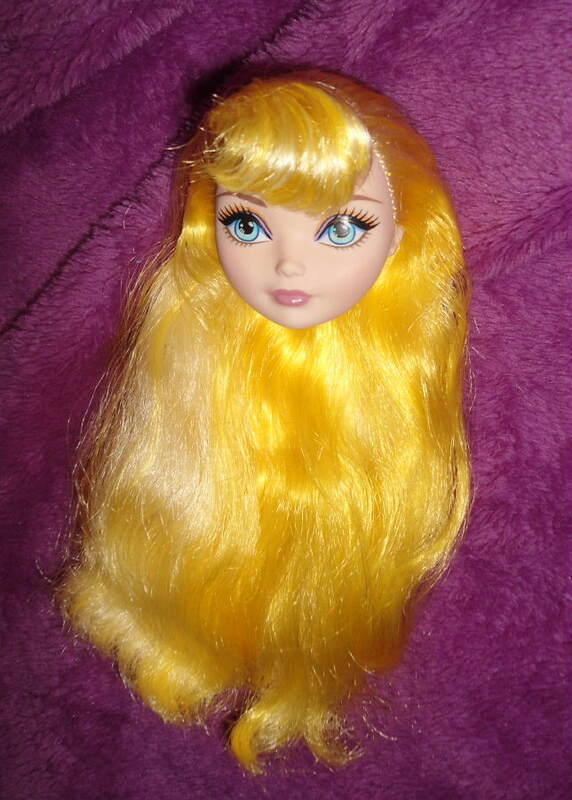 )Brand new, never used, she's just removed from new doll in box!!! !Don't miss this awesome head! In good, gently used condition. Jeans are like new, no problems at all. Neon green blouse is in good condition but the logo/pattern on front is a little fading/chipping. Not bad, but it's not perfect. 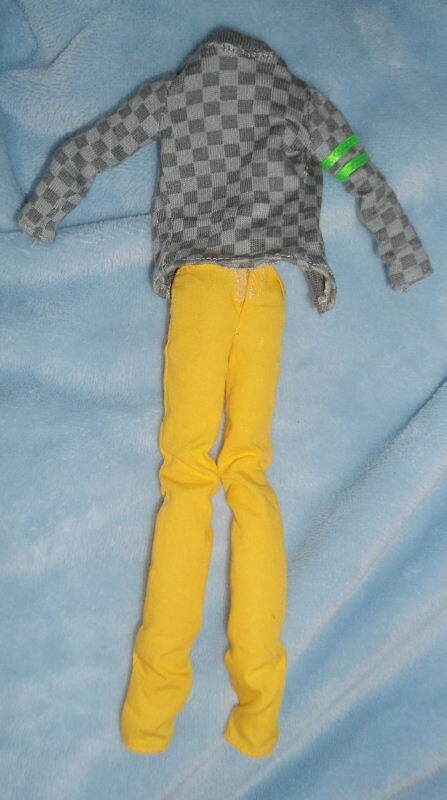 The legs are very long and may over hang on your doll unless your doll is super long legged. 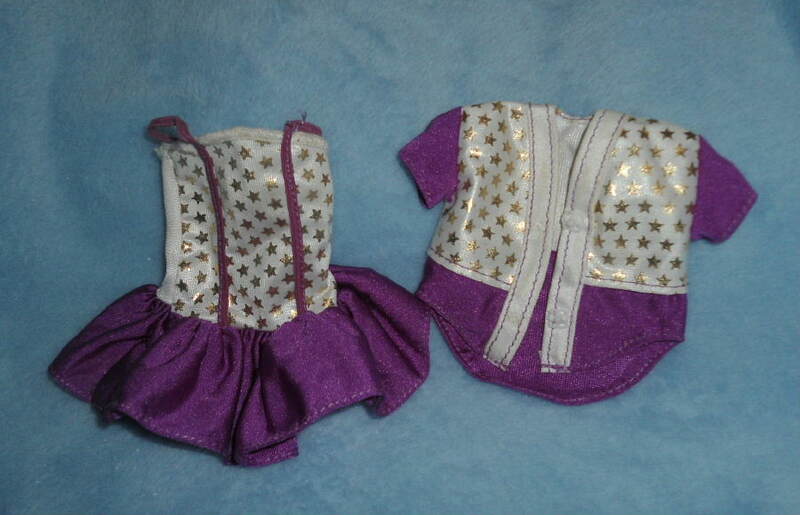 Barbie 'Midge' All Stars Baseball Mini Dress and Jacket with gold metallic stars Plum Purple 1989 Outfit for 11" dolls! The dress is reversible into a tote bag! Cute Idea! This is for a super rare, 1990s Midge All Stars Baseball dress/bag and jacket! 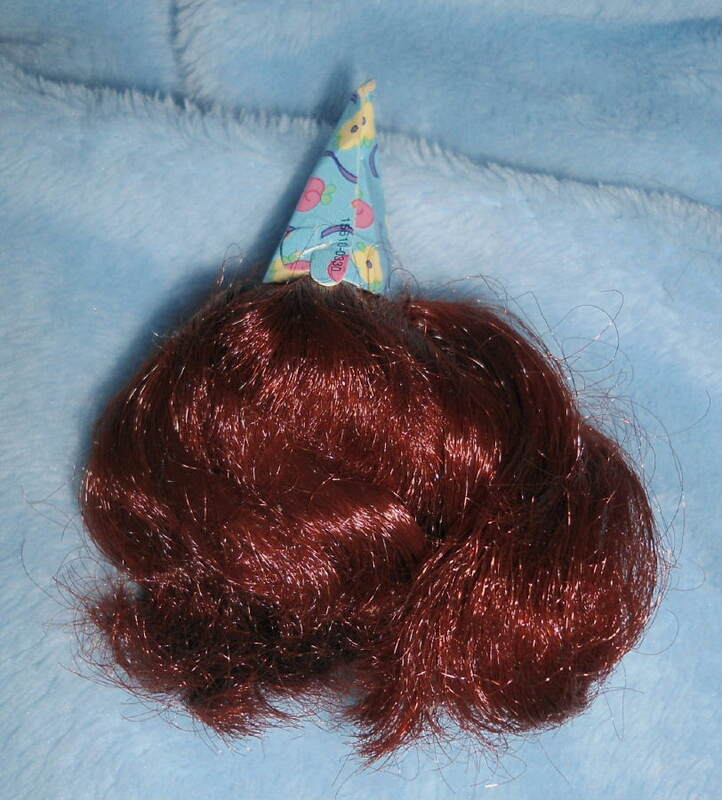 It's in good condition for its age---no tears or stains. 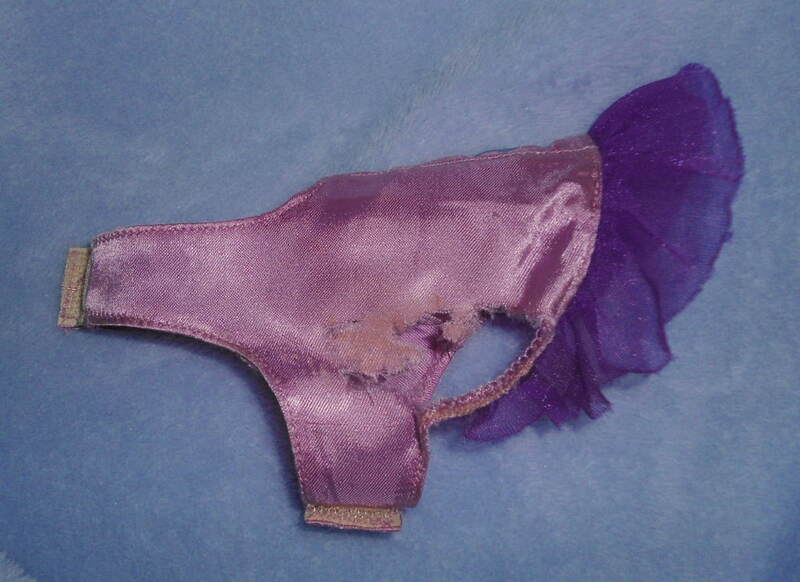 There may be some slight stretch out of the elastic due to age, but nothing really bad. 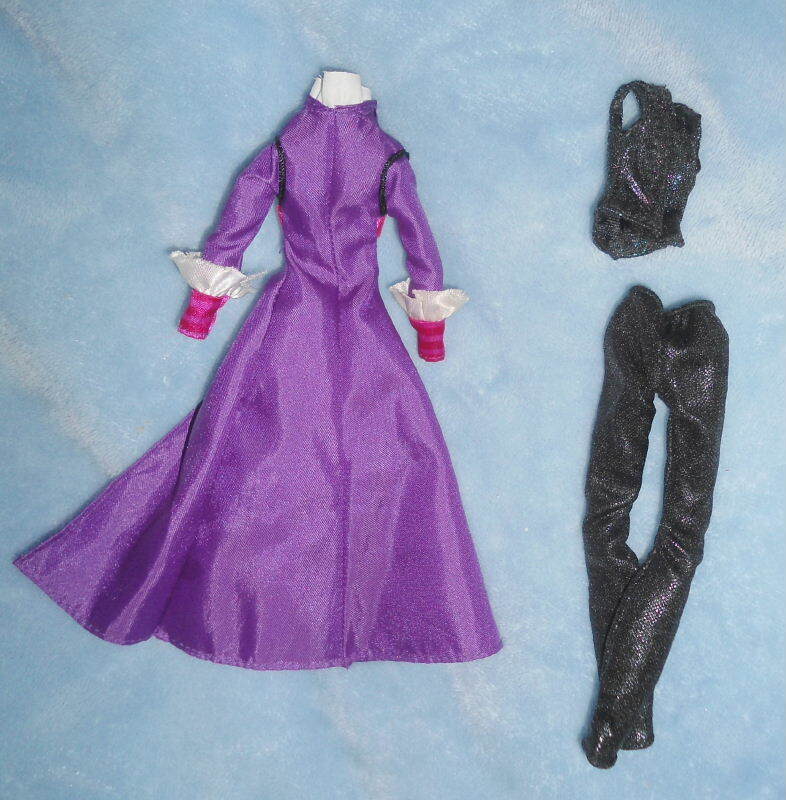 Will fit most 11" (1/6) fashion dolls. 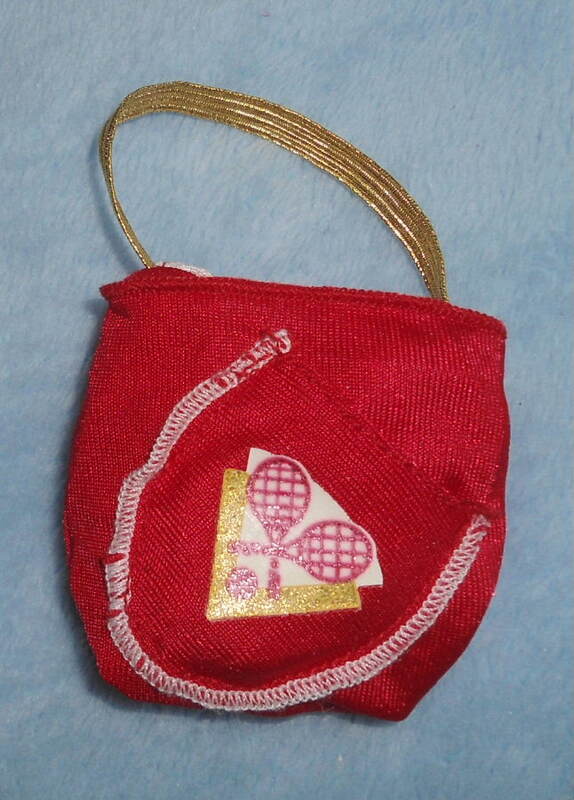 Official Barbie's Friend Teresa Jacket that is reversible into a tennis emblem duffel bag for 11" Fashion dolls!! 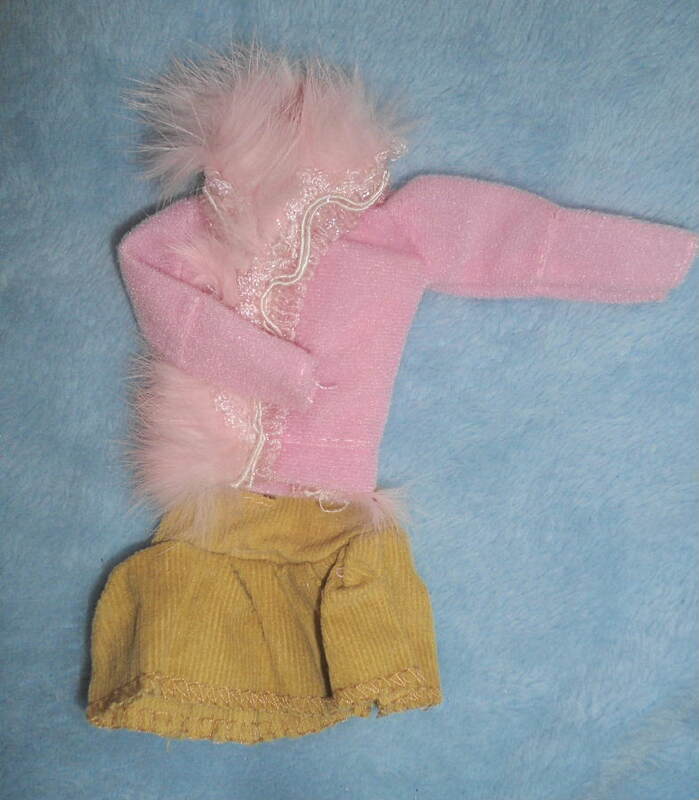 This is for a super rare, super cool Barbie's friend Teresa All Stars jacket in very good condition with minor wear. From 1989!!! Red Tennis duffel bag that transforms into a red All Stars sporty jacket with Teresa's stretch sport bathing suit. Jacket and suit with winning gold star designs. 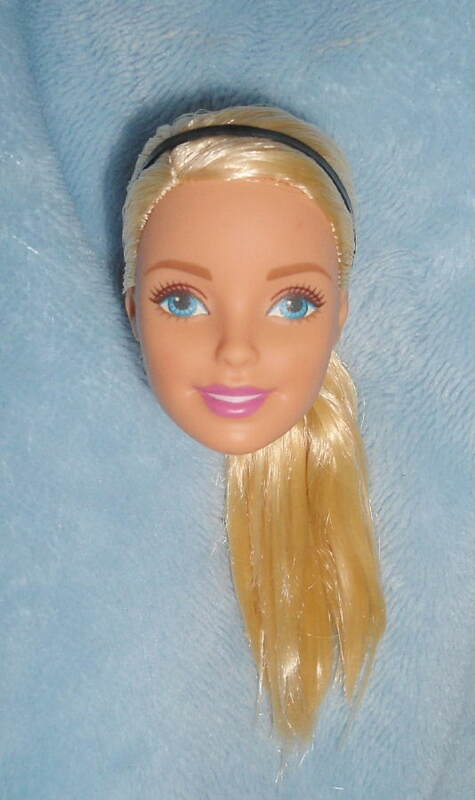 Fits large busted glamorous bust pre-1990s Barbie, too! 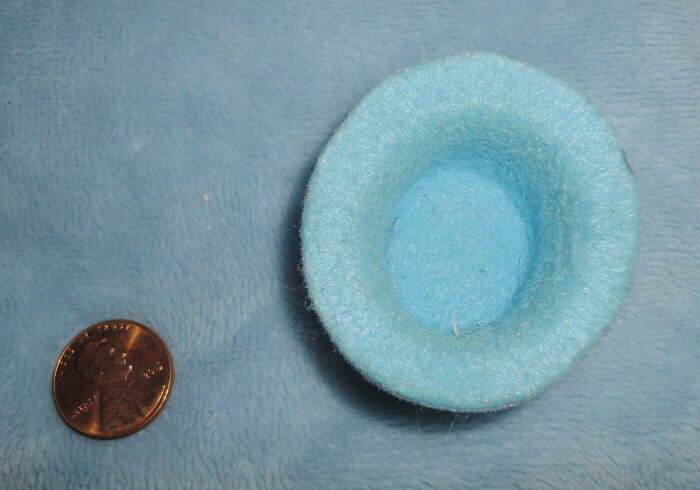 Will fit most 11" 1/6 fashion dolls. This is for an 11" doll skirt and blouse! Cute! Will fit most Barbie sized dolls, even the pre 1990s glamourous large busted girls. 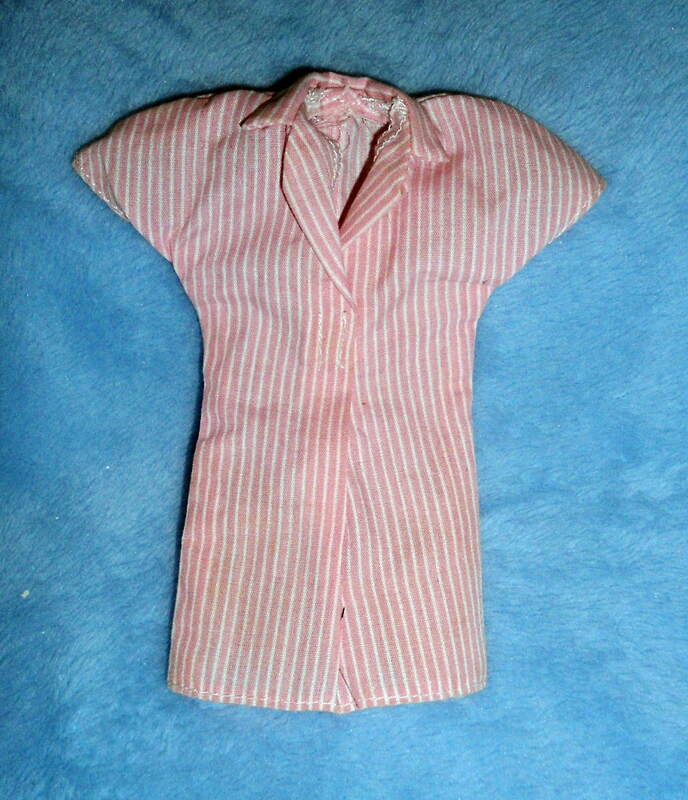 This is for a cute Kelly-sized dress for small 5" toddler sized dolls. Will fit most 4-5" Kelly sized dolls. 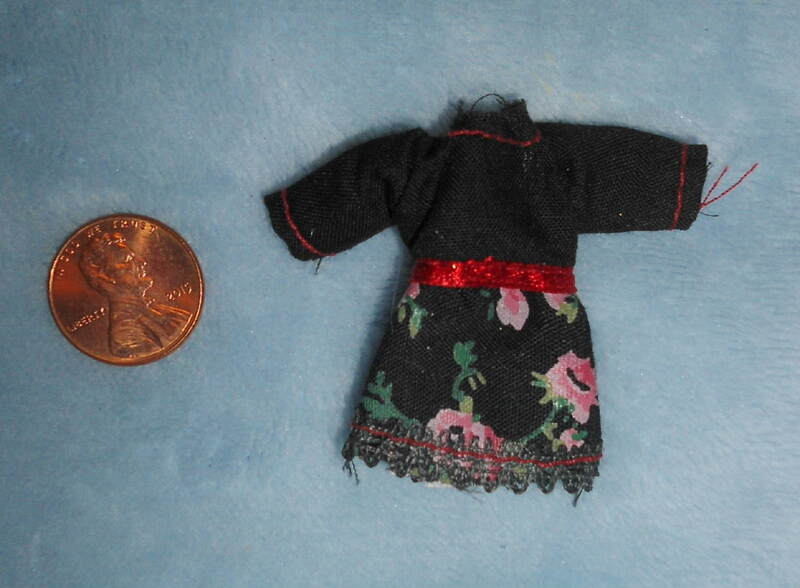 This is for a rare, brand new, quality made, just removed from new doll,tiny black floral dress! 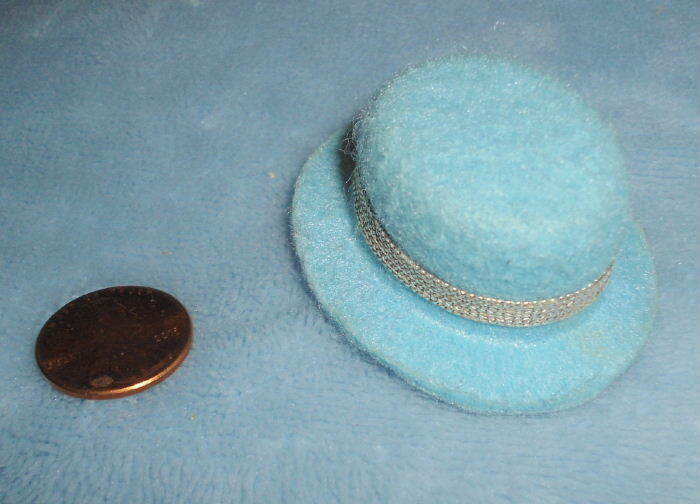 It's ultra tiny---not sure what dolls they will fit Shown next to a penny to demonstrate size. 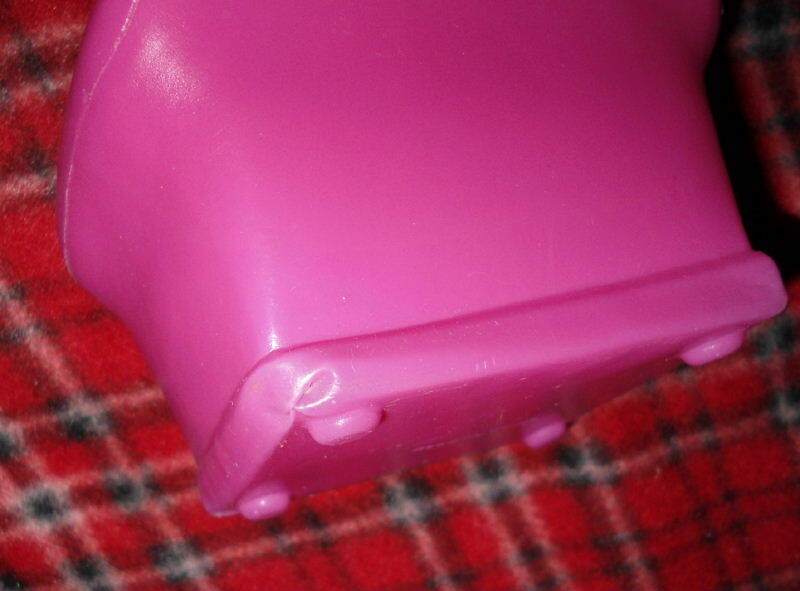 Maybe Polly Pockets or MagiClip would fit loosely? 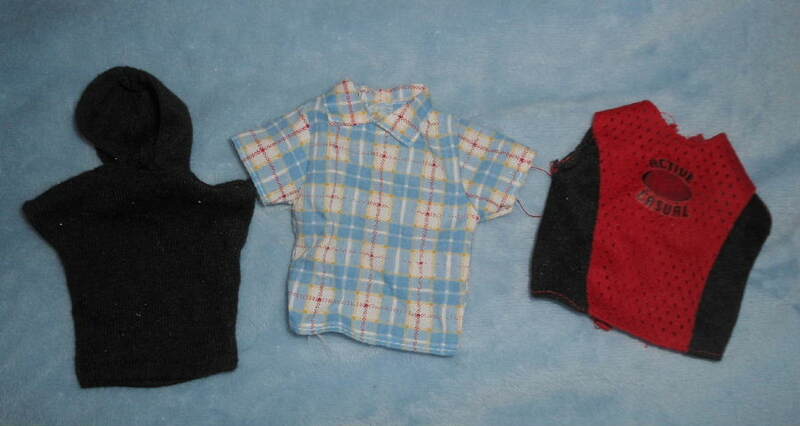 Or super tiniest Micro BJDs! 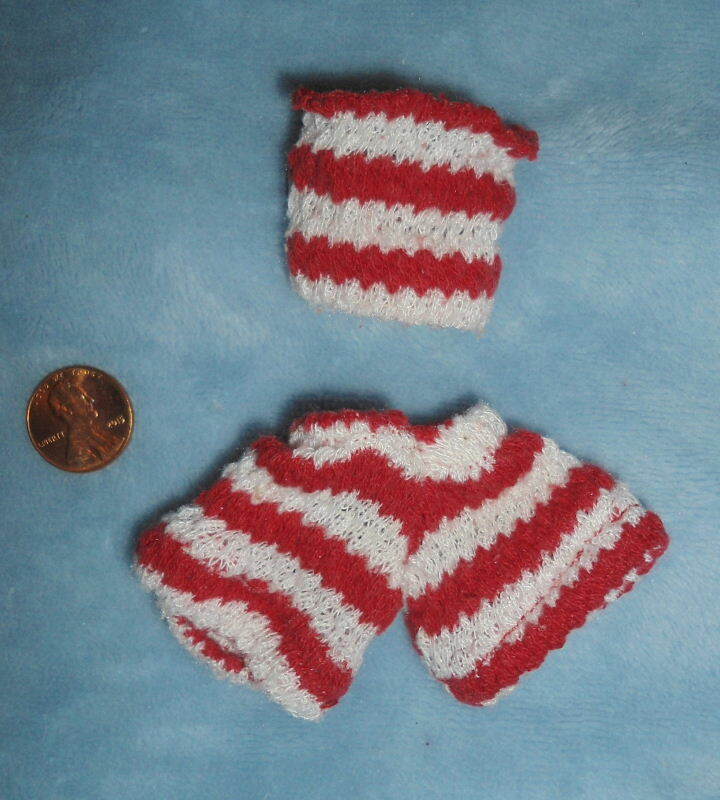 This is for a cute Kelly-sized jumpsuit for small 5" toddler sized dolls. 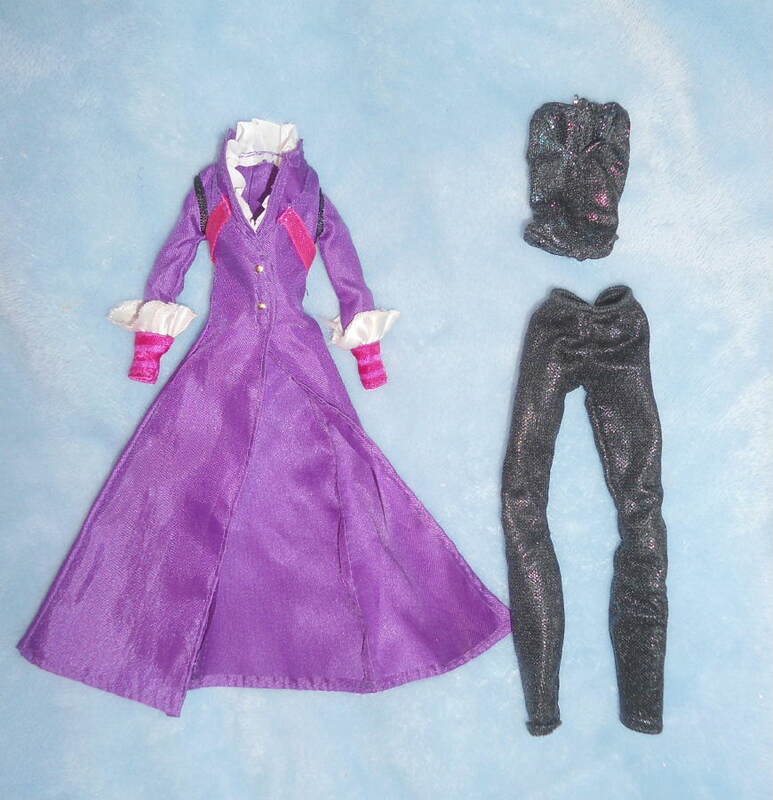 3 Official Barbie and Midge Pink Jackets/ Vest for 11" Fashion dolls!! 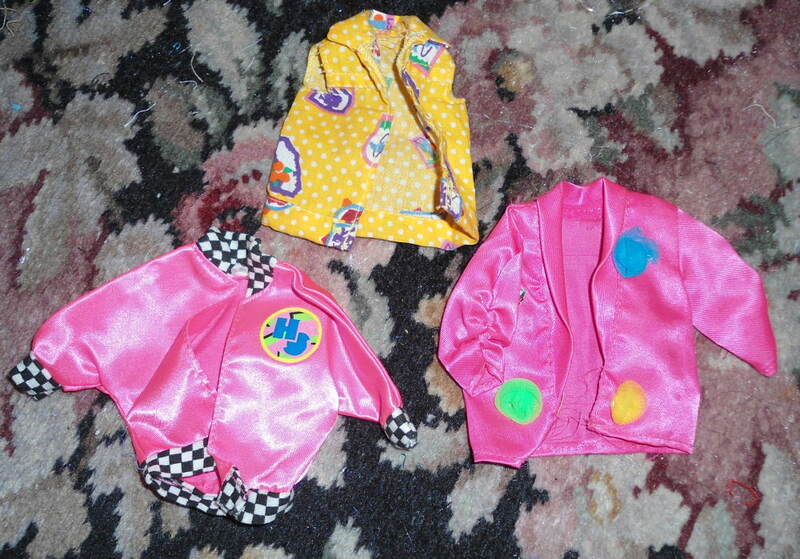 This auction is for 3 super rare, Barbie & Midge jackets in very good condition. From 1990s!!! Heart Family 'Mom' Pink and White Striped shorts Jumpsuit!! 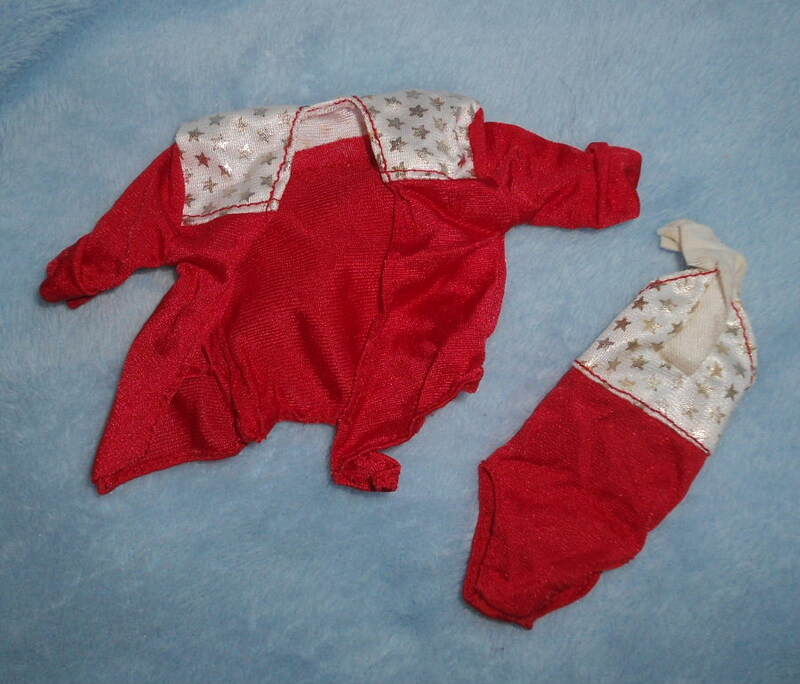 This is for a super rare, 1990s Heart Family Mom jumpsuit!! 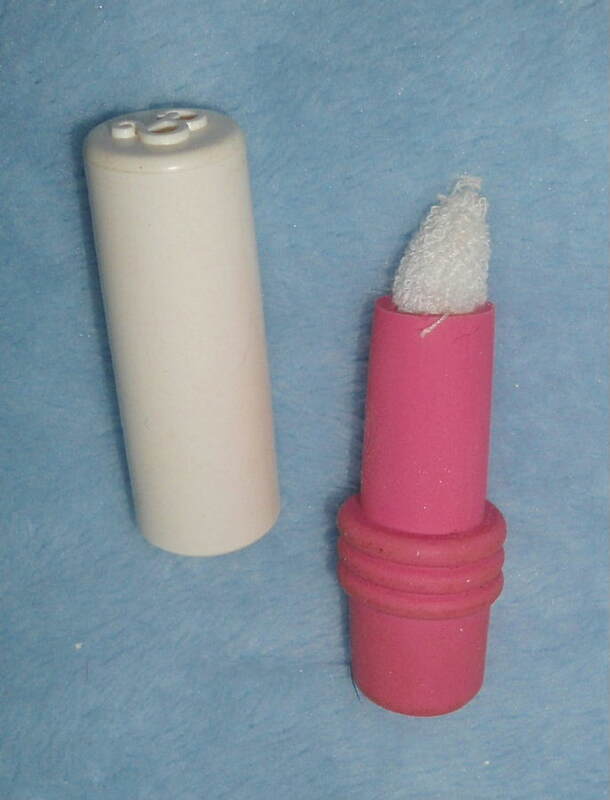 Barbie Mattel 'Lip Stick' applicator wand! 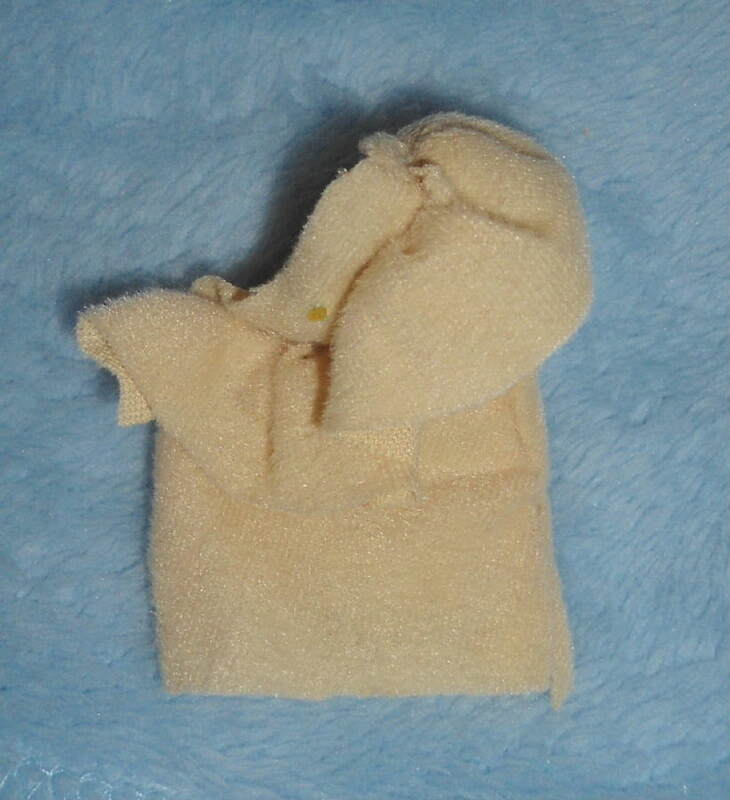 This is for a plastic human size (not doll size) Barbie applicator stick/wand with a towel on the end, made by Mattel/Barbie From 1990s!!! 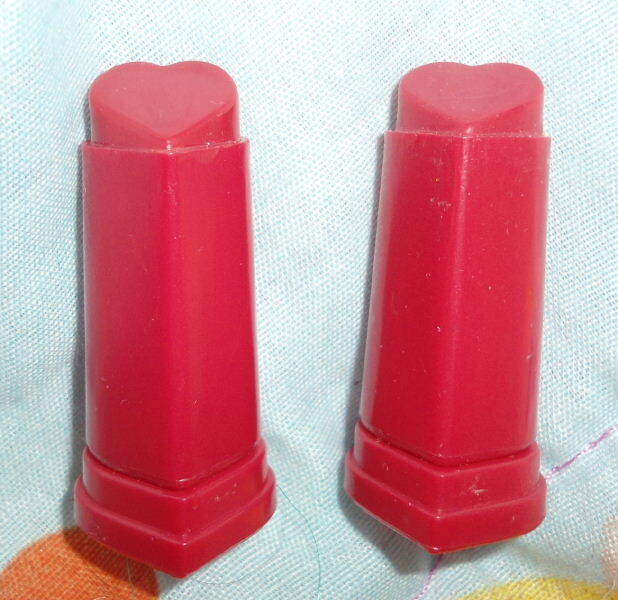 Mattel BARBIE Lot of 2 Red Heart LIPSTICK Wands 1980s Rare STILL WORKS! 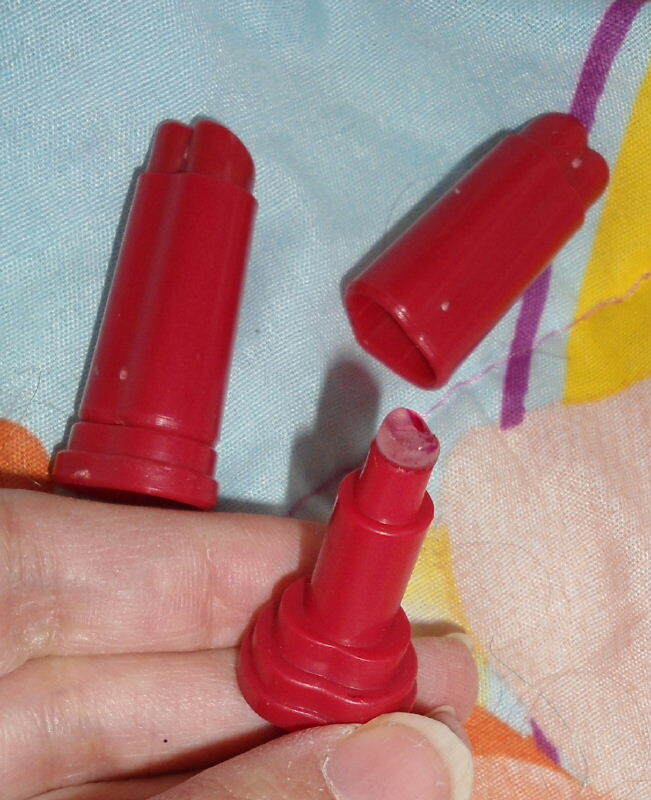 Lot of 2 Barbie Lipsticks from 1980s! Use these on the dolls! Rare! Like new condition, still working!. Approx 2" in size each. Nice! 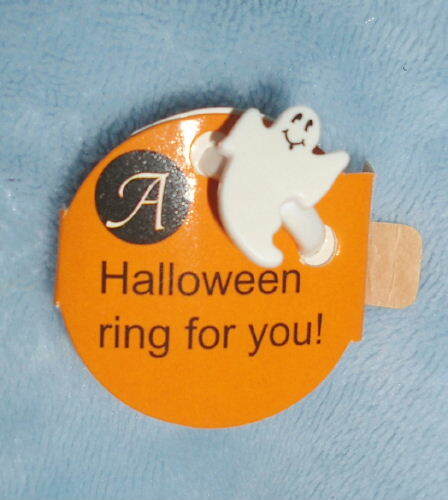 Mattel 2004 Halloween 'Ghost' Boo-tiful Child Sized Plastic "Ring"
New ! 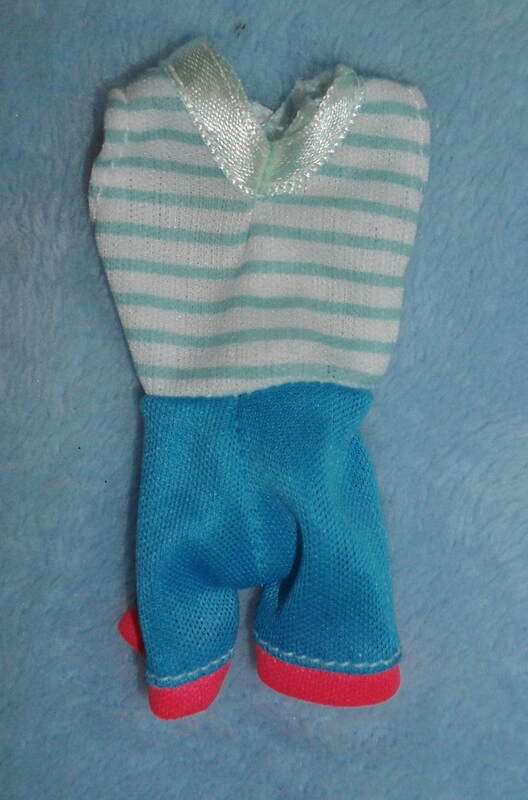 Fits children or adults with Size 5 or smaller fingers only. Mattel 'Fin Flipping' Purple Mermaid Barbie Body! New ! 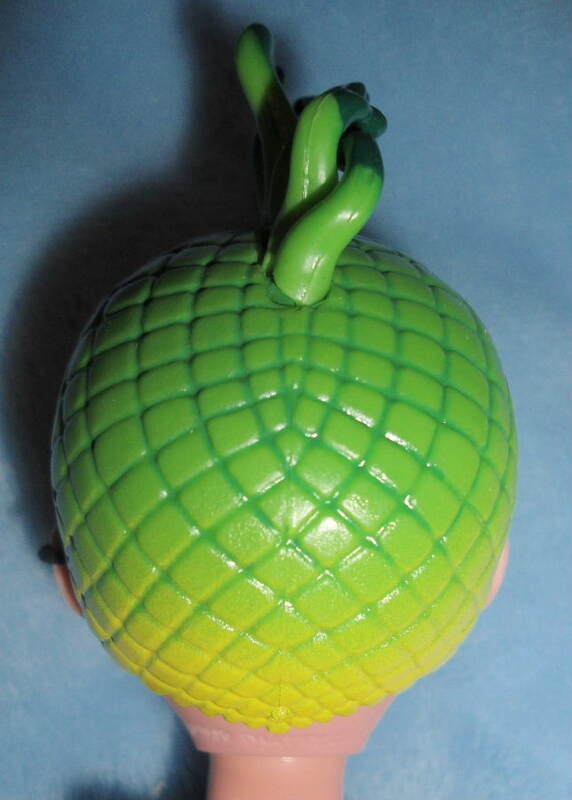 When you squeeze the hips, she's 'swims' and flips her fins. Tan skintone. New from early 2000s! 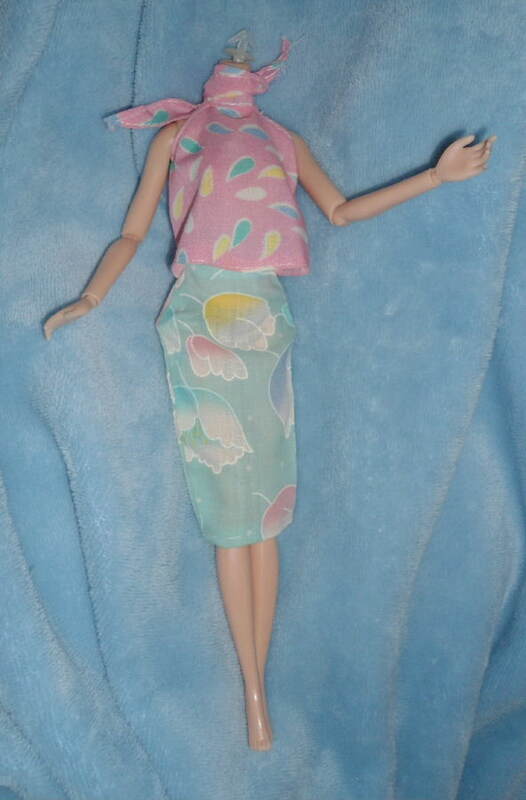 Mattel Jazzie Doll Bikini & Barbie Chemise Top! 2 Pieces! This auction is for a super rare, 1990s 2 pc tops set in very good condition! From 1990s!!! Just in time for a summer! Will fit most 11" 1/6 fashion dolls with the new smaller bust size. (Modern dolls will fit in both. The pink/green bikini top will not fit 'glamorous bust' size older Barbies from 1990s or earlier.). Pink with Metallic silver heart designs Dress for 11" Fashion dolls!! 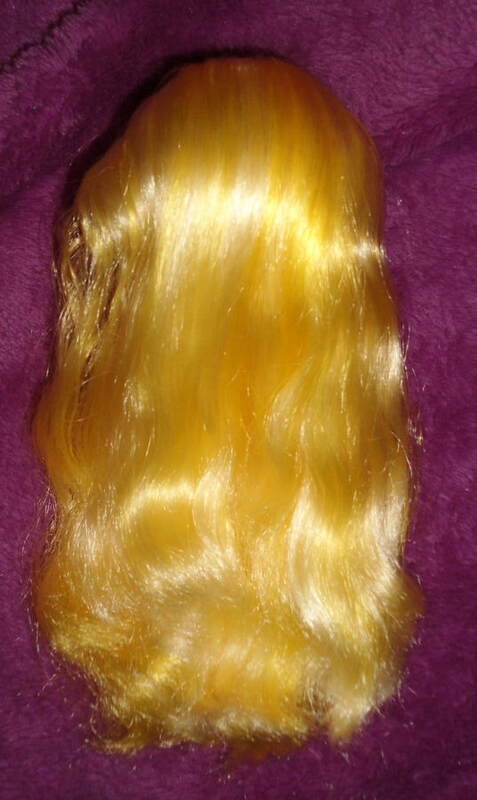 This is for a super rare, Barbie dress in very good condition. From 1990s!!! 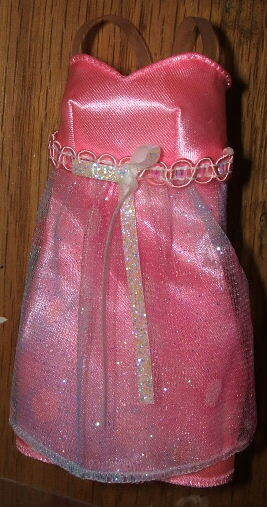 Pink with fancy lace and ribbon designs Dress for 11" Fashion dolls!! 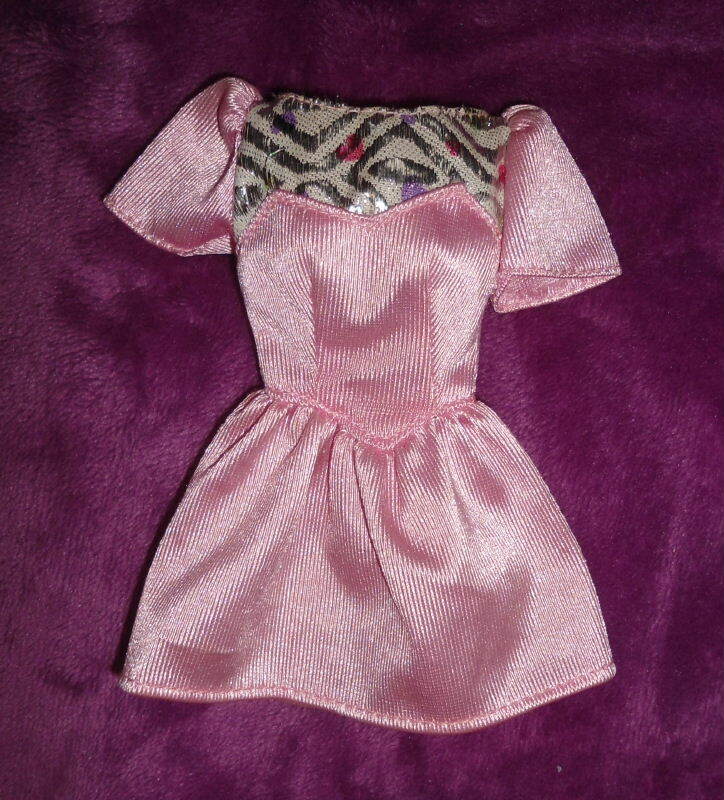 A super rare, Barbie dress in very good condition. From 2000s!!! Will not fit large busted glamorous pre-1990s Barbie. 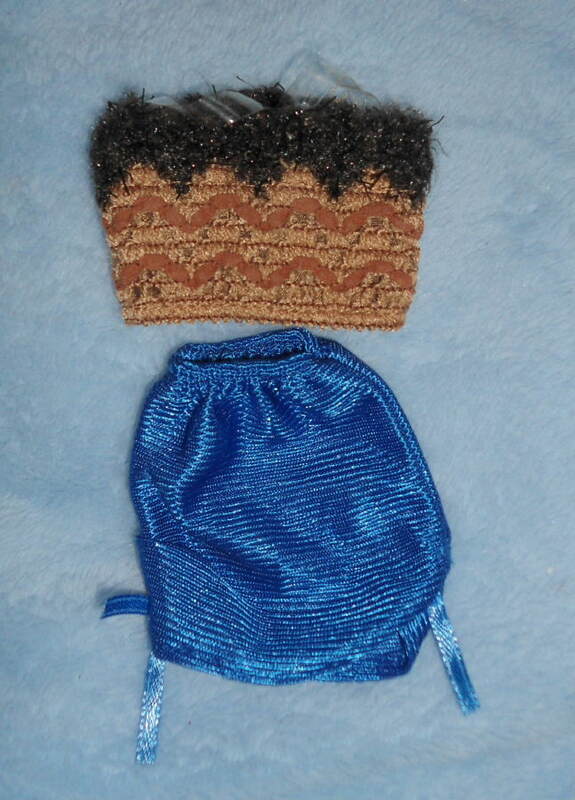 Will fit most 11" 1/6 fashion dolls. Will not fit large busted glamorous pre-1990s Barbie. 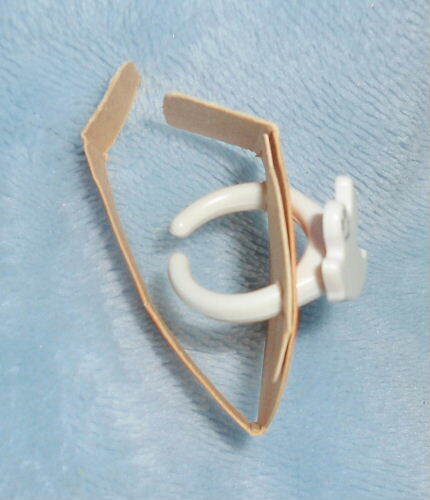 Will fit most modern 11" 1/6 fashion dolls. New! Just removed from new doll! Includes shirt, shorts and socks. 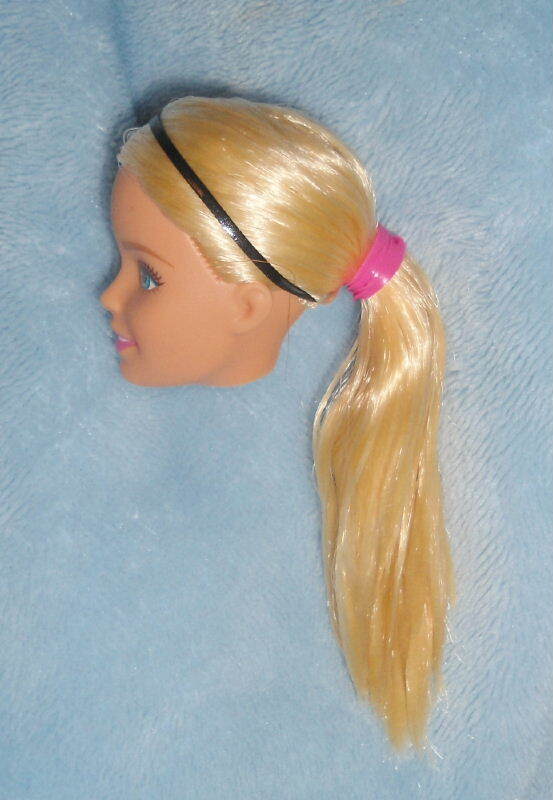 Will fit all 11" 1/6 fashion doll Mattel bodies. New! Just removed from new doll! Cute expression and light blonde ponytail. 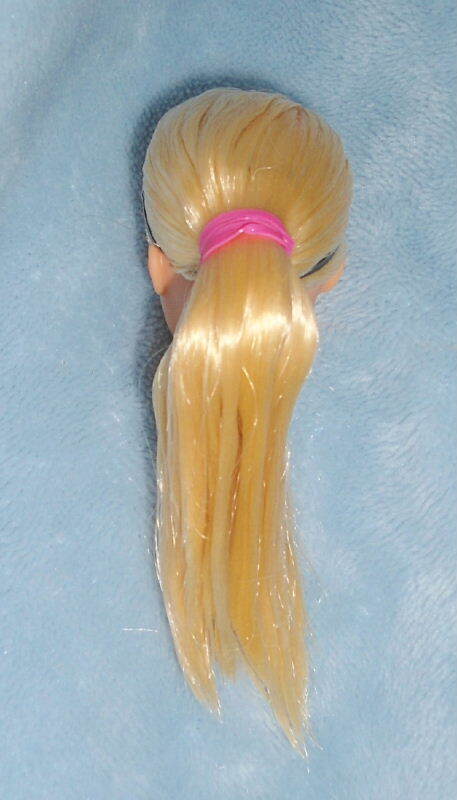 Will fit all 11" 1/6 fashion doll Mattel bodies. New! Just removed from new doll! Cute expression and jet black ponytail. 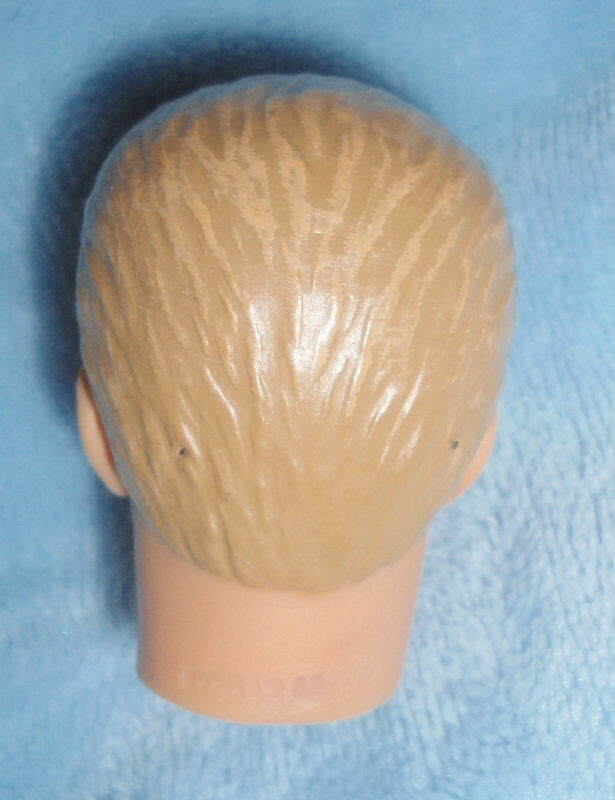 This is for a rare, Blondie Locks doll head by Mattel! Don't miss this awesome head! Cool and rare!!! SUPER HIGH QUALITY!!!! Brand new, never used, she's just removed from new doll in box!!!! 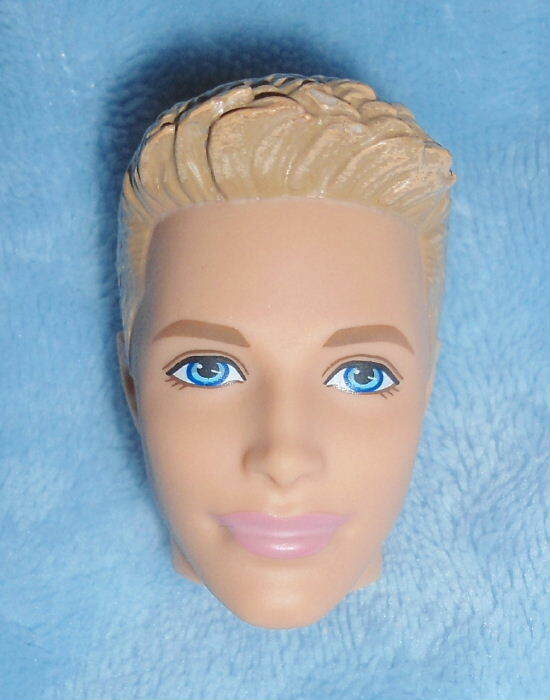 This auction is for a Fashionista Blond Ken head. 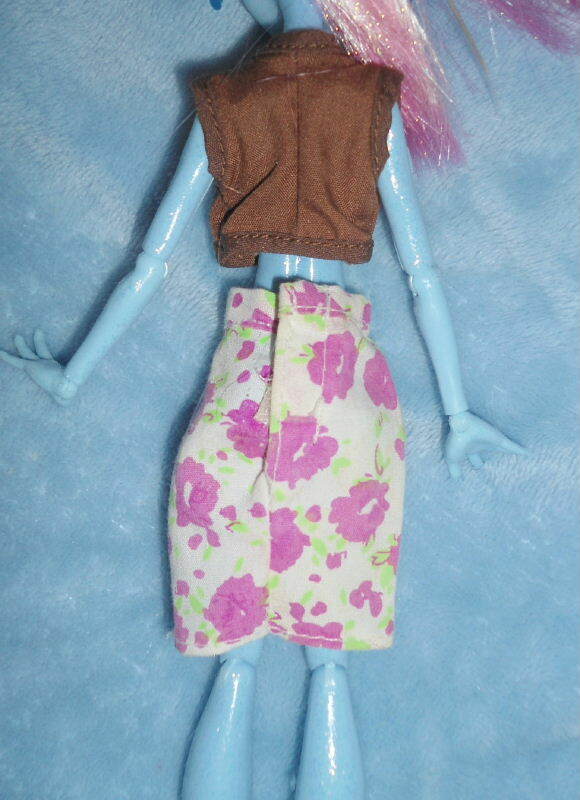 Blue and brown cute summer outfit for 11" Dolls Will fit most regular 1/6 11" Fashion Doll. Will fit most Barbie sized dolls, even the pre 1990s glamourous large busted girls. In good, like new handmade condition. Will fit most Barbie sized dolls, even the pre 1990s glamourous large busted girls. 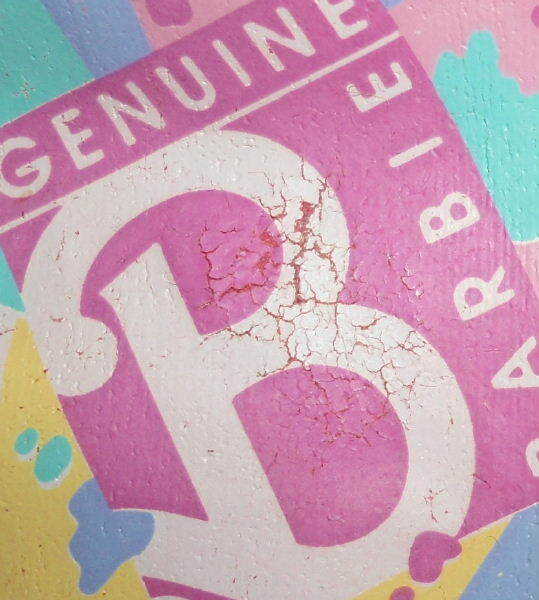 The pink 'Barbie' T-shirt is a rare 1990 promo only giveaway. New, but the logo has some cracking from age. The other 2 are generic shirts that are also neat---a blue a-shirt and a pink velour turtleneck! 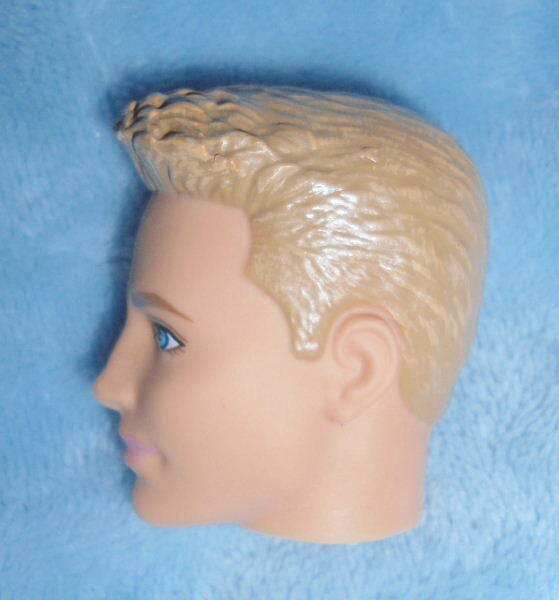 Will fit most Ken sized dolls, All in good, used preowned condition. Will fit most Barbie sized dolls, even the pre 1990s glamourous large busted girls. Brand new, never used! In good, used condition. Made with quality by Mattel in the 1990s. Rare and hard to find. A little stained with age but nothing bad. 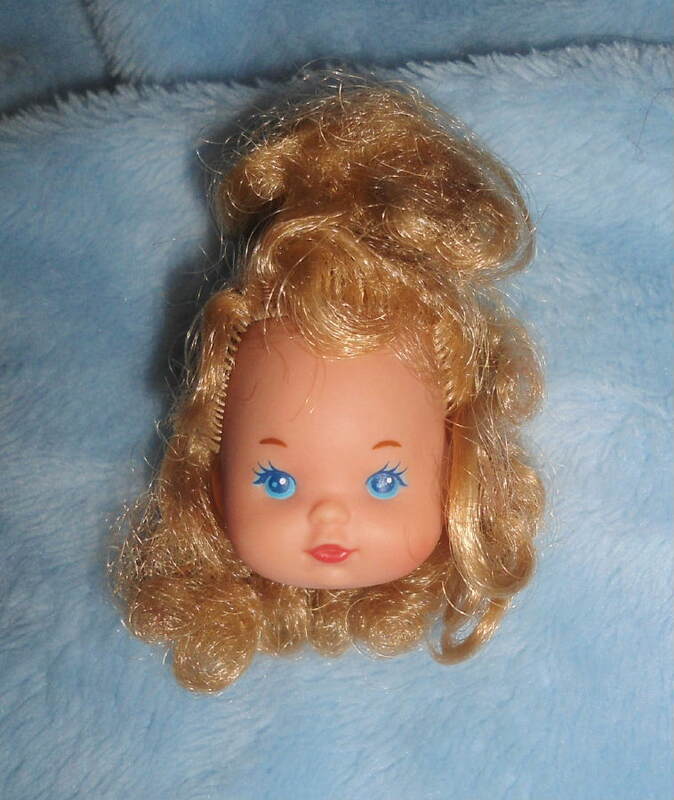 Will fit most 11" (small headed) dolls. 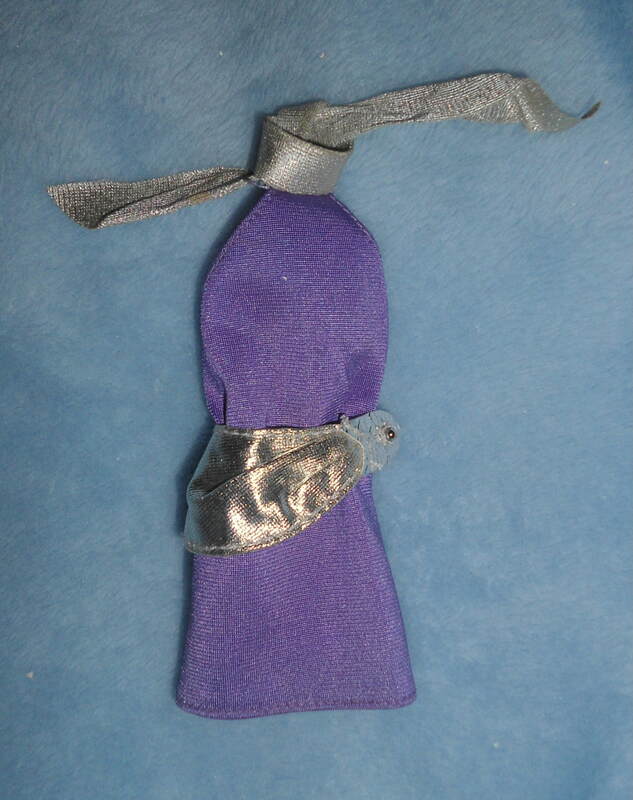 Barbie Purple Mini Dress with Silver belt 1990s Outfit for 11" dolls! 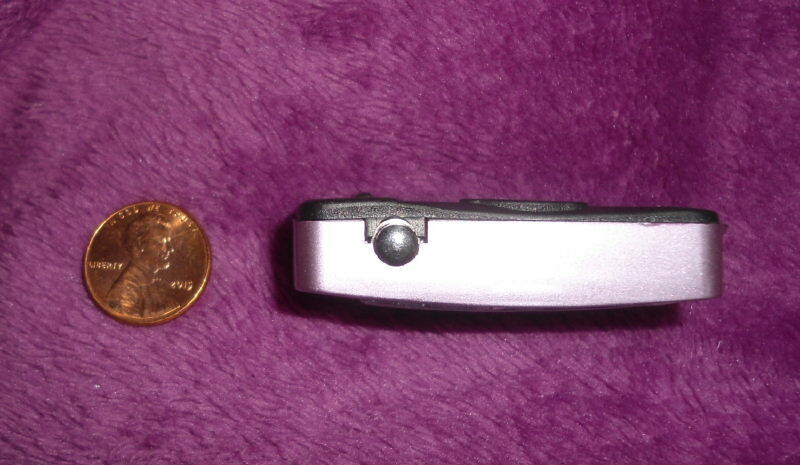 This is for a super rare, 1990s purple stretch mini dress and belt! They are in good condition for their age---no tears or stains. Some 'fading' in the silver due to age, but nothing really bad. 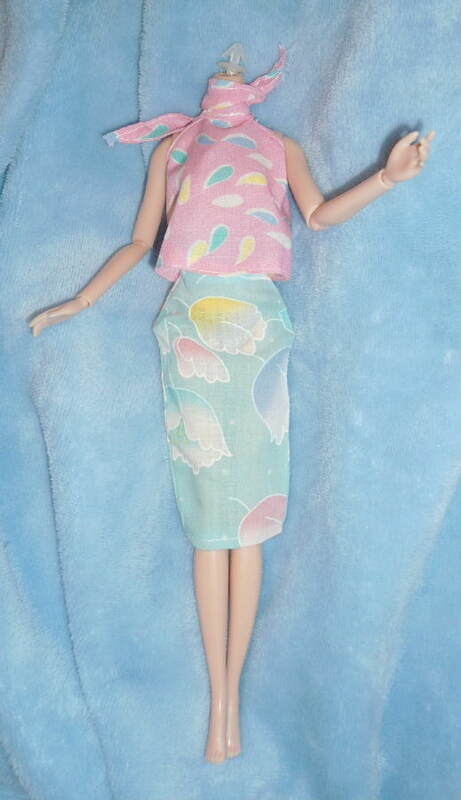 Barbie doll sized Summery Doll outfit! 2 Pieces! 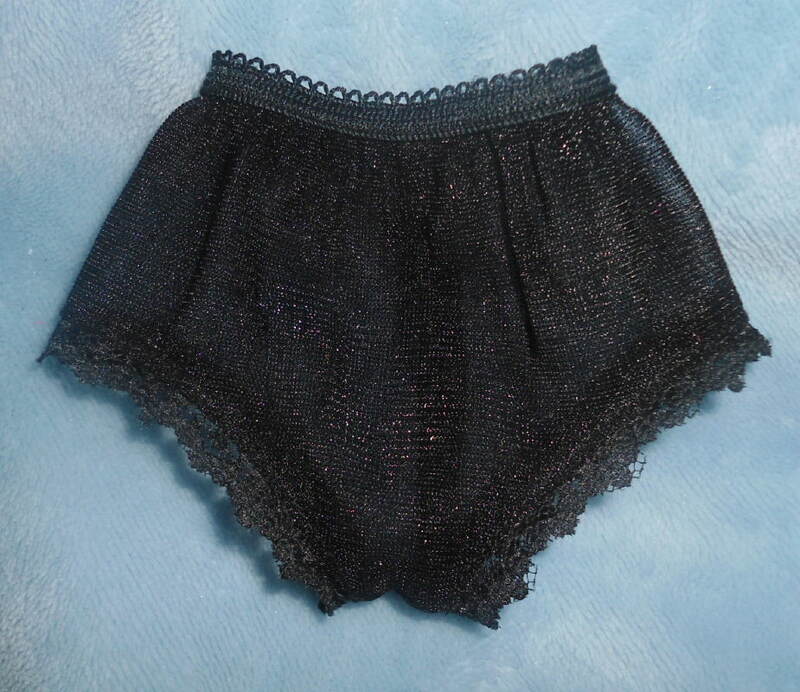 This is for a super rare, 1990s 2 pc outfit set in very good condition! The 2 pc outfit is in very good condition! From 1990s!!! Just in time for a summery look! 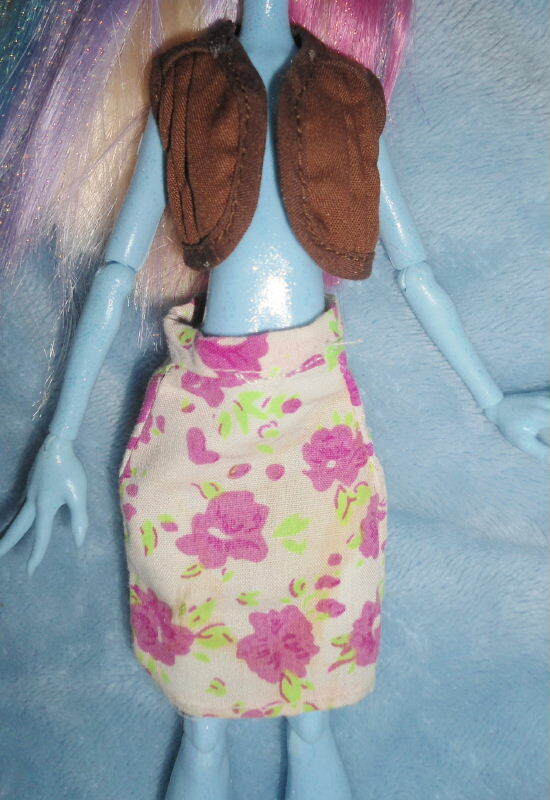 Made to fit most 11" 1/6 fashion dolls with the smaller bust size. *Body is NOT included. 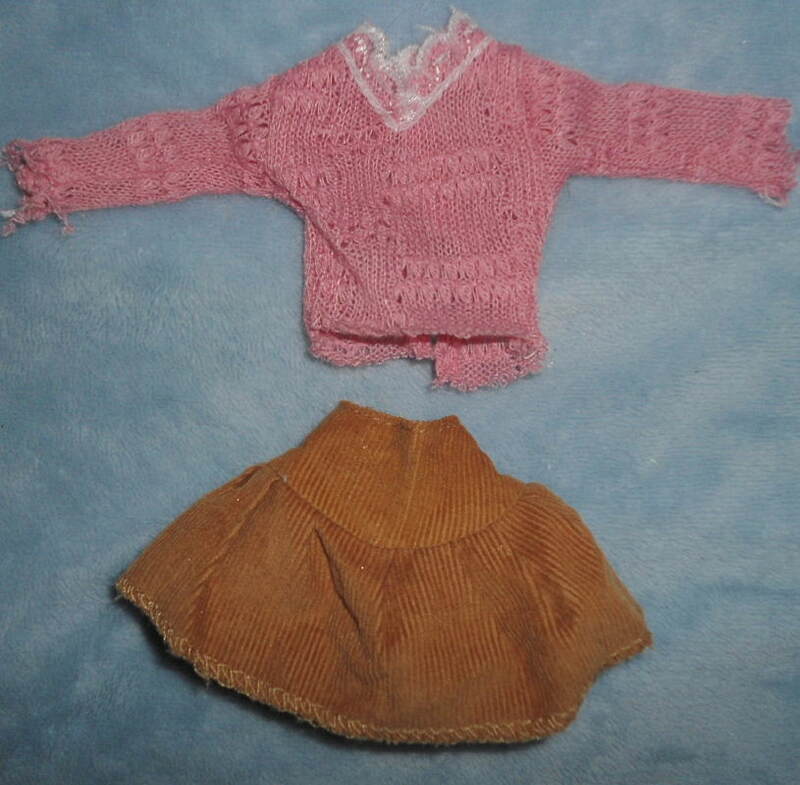 You are bidding only on the 2 pc cotton outfit. Thank you! 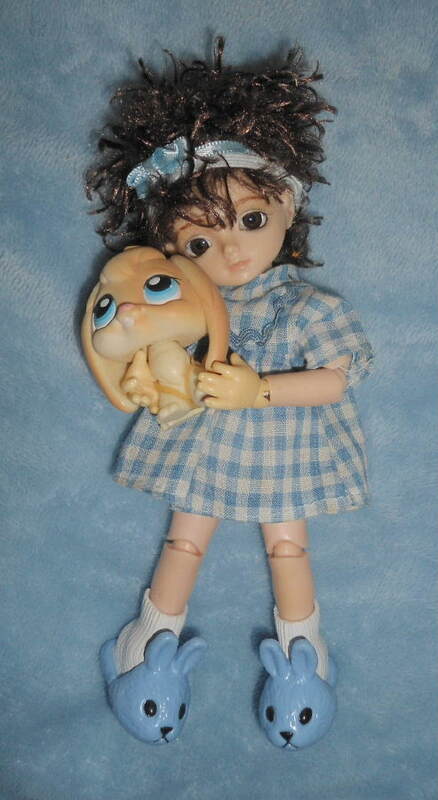 a super rare, 1990s FSF "Dara" dress. 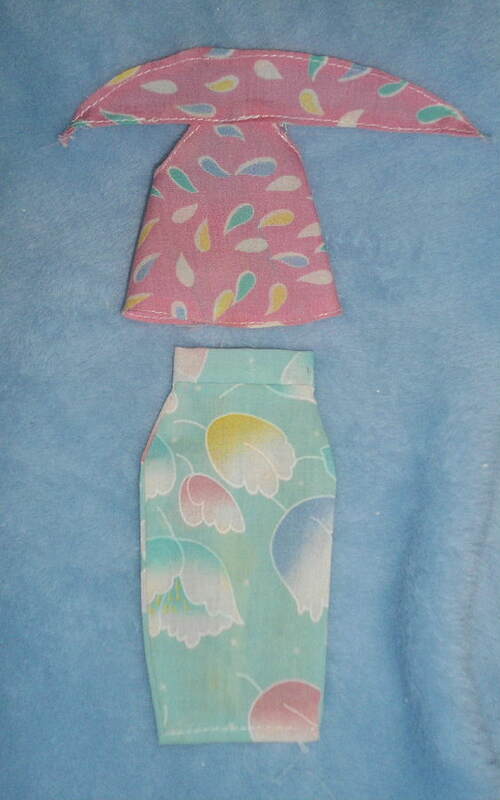 These were special dress/skirts that were, if I recall, send-away bonus items. Still a rare item and luckily, the side with the name 'Dara' is still in good condition. Maybe it can be restored or just used as-is for play/display. 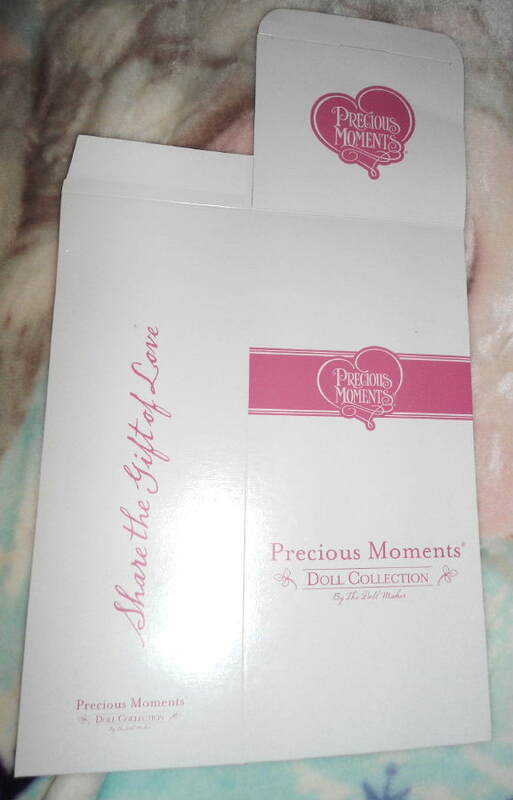 This is for a brand new, never used, still flat 'Precious Moments' gift box for 12" Collector Dolls. It says 'Share the Gift of Love' on the sides. 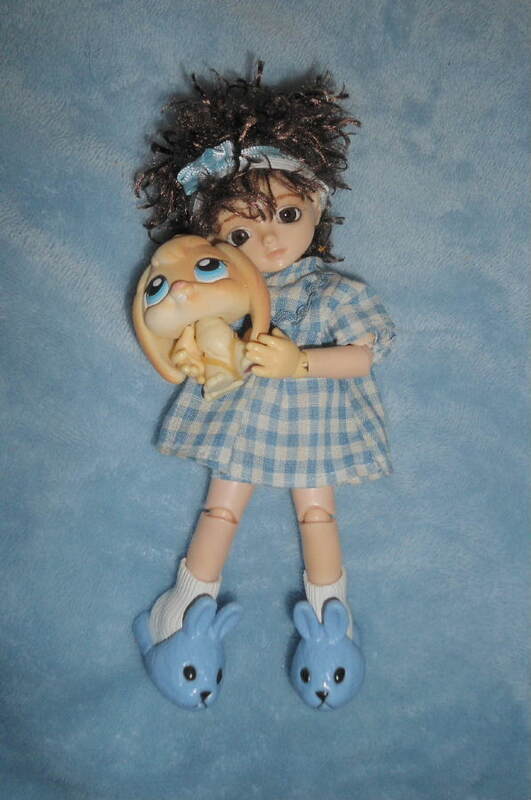 Perfect for those looking to give a Precious Moments doll as a gift! 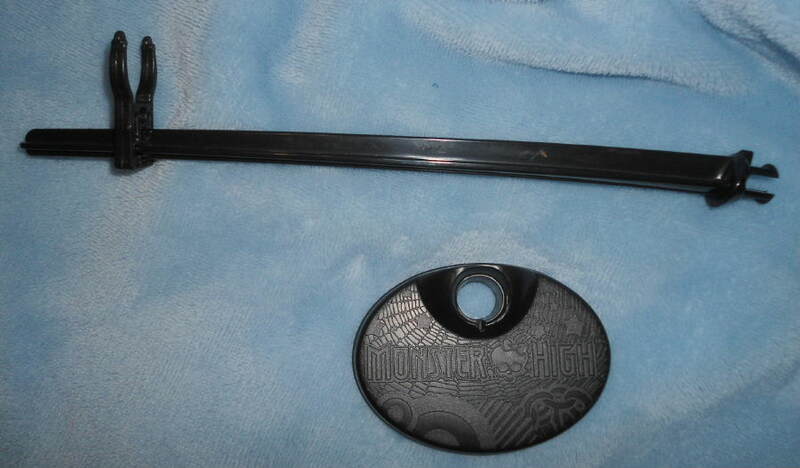 In new condition, never used/played with but the back edge is so thin that it's almost pushed in/breaking. Not really bad, but it's irregular looking. 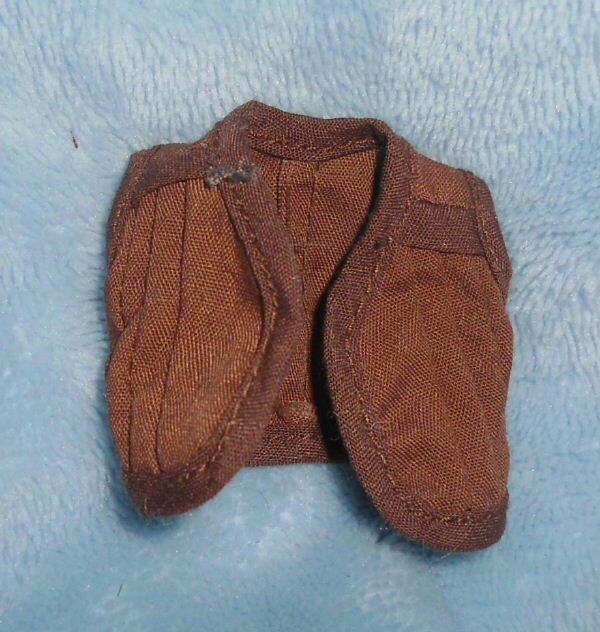 Would fit Tinies or YoSD Bjd great! Approx 4.25 H x 4.5 W x 3 D" in size. 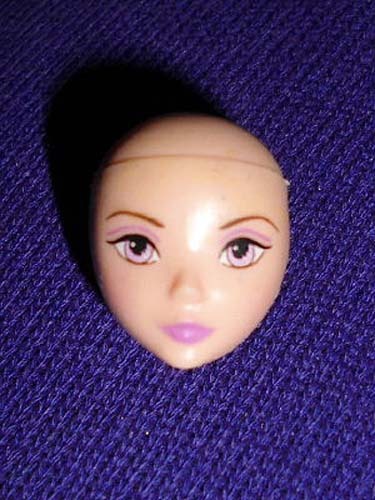 New condition, just removed from doll. Great for OOAK projects! 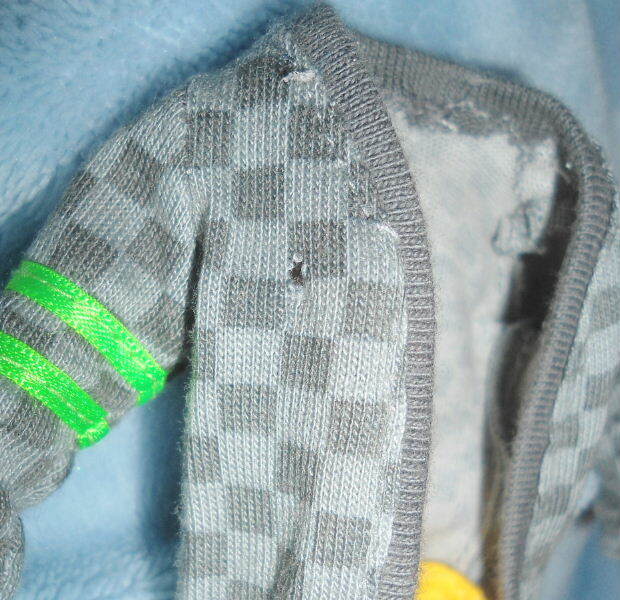 In fair/good condition, some paint rubs off eyebrows, just removed from doll. 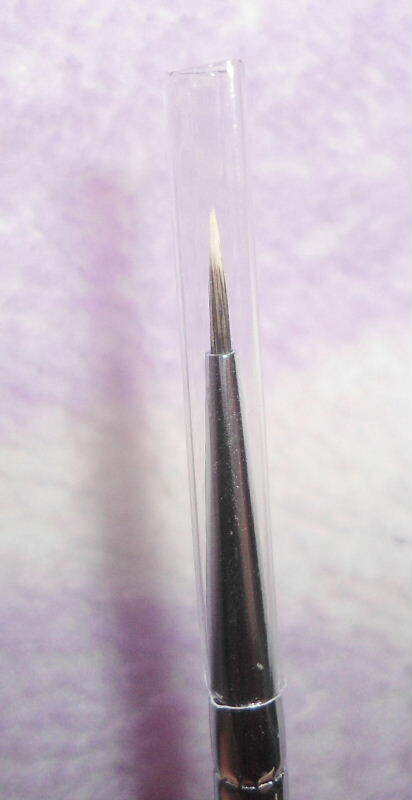 Great for OOAK projects! USED condition----very good, except for ONE small pin hole on upper right chest jacket. (See last photo for details.) Includes jacket and pants only. 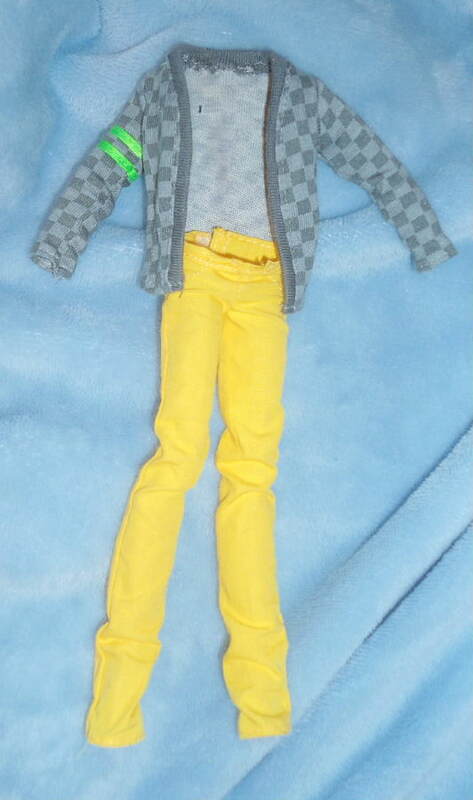 Made to fit the Monster High BOY 10-11" Doll bodies---this suit may also fit other similar sized 1/6 Monster High male fashion dolls. 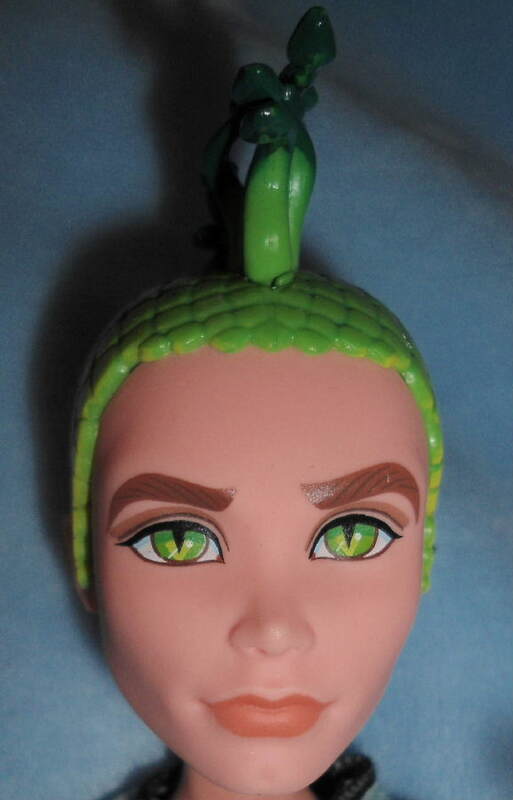 Made to fit the larger Monster High Girl 10-11" Doll bodies---this suit may also fit other similar sized 1/6 Monster High female fashion dolls. Brand new, just removed from doll. 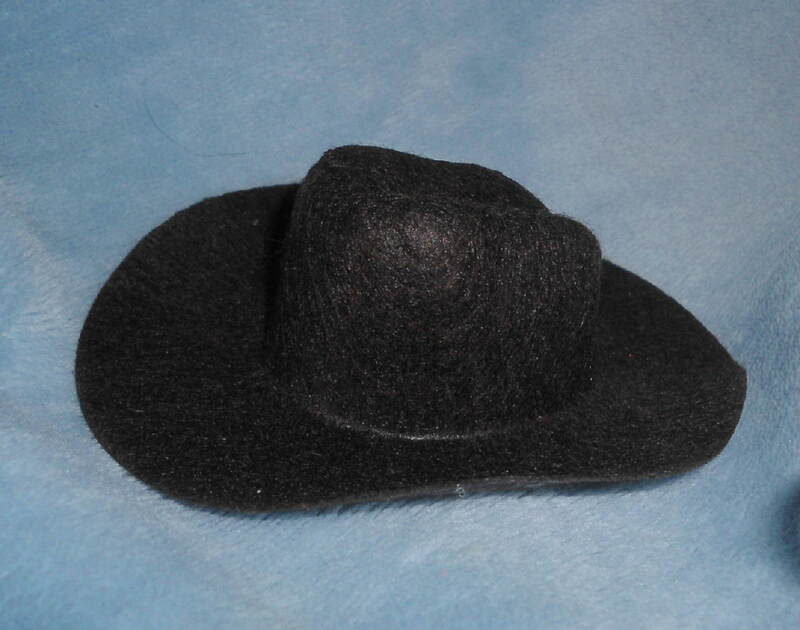 Great for OOAK projects! Never used or played with, glossy cardboard foldout. Approx 5" x 1.5" closed and folds out wider. Like new condition. Rare and nice! Nice condition! Rare and nice! In very gently used, almost like new condition. Ready for rooting or a teeny wig! Approx .75" in size Nice! 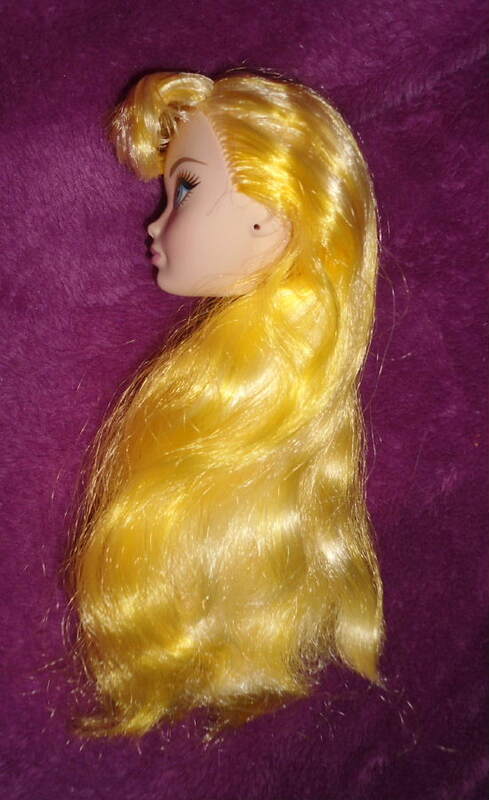 Will fit on Disney Store 5" Mini bodies or some Polly Pocket bodies, too! 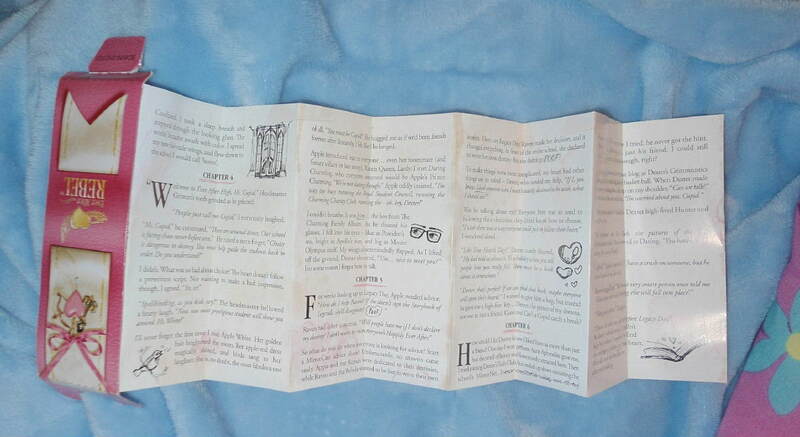 Mattel Barbie Pink Stamp Club Pamphlet FLYER from 1990! RARE Still intact! It's approx 10" x 3.5" on full color glossy paper. 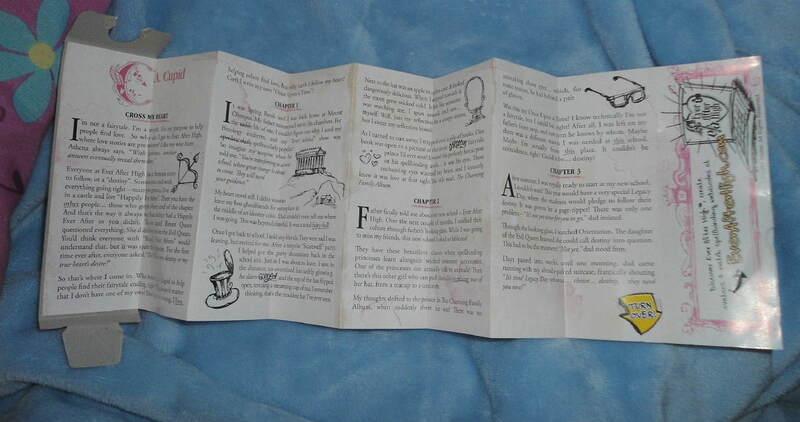 It has been folded so it's not mint condition. 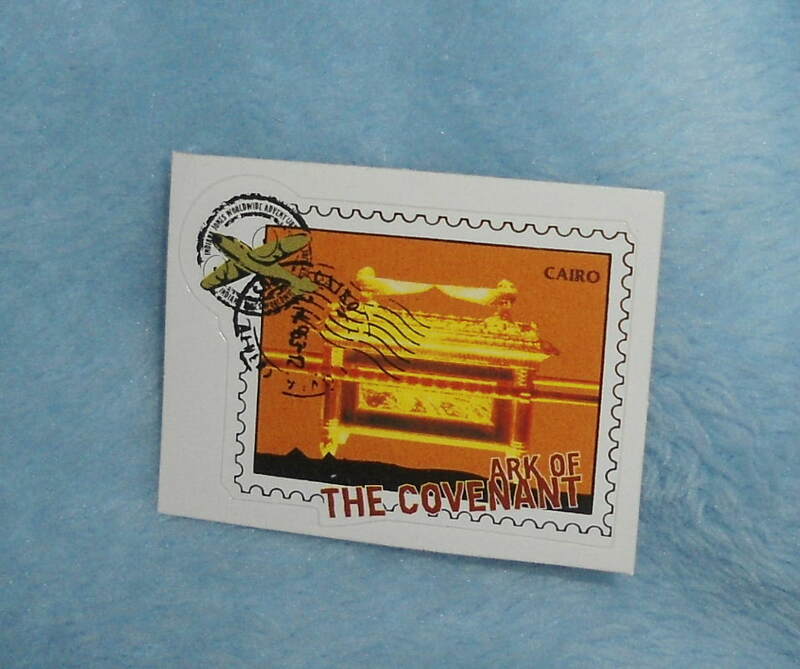 Expired but still great collectible with 'lick' on stamps on one side! Vintage BARBIE watch circa Mattel 1990s NEW condition! 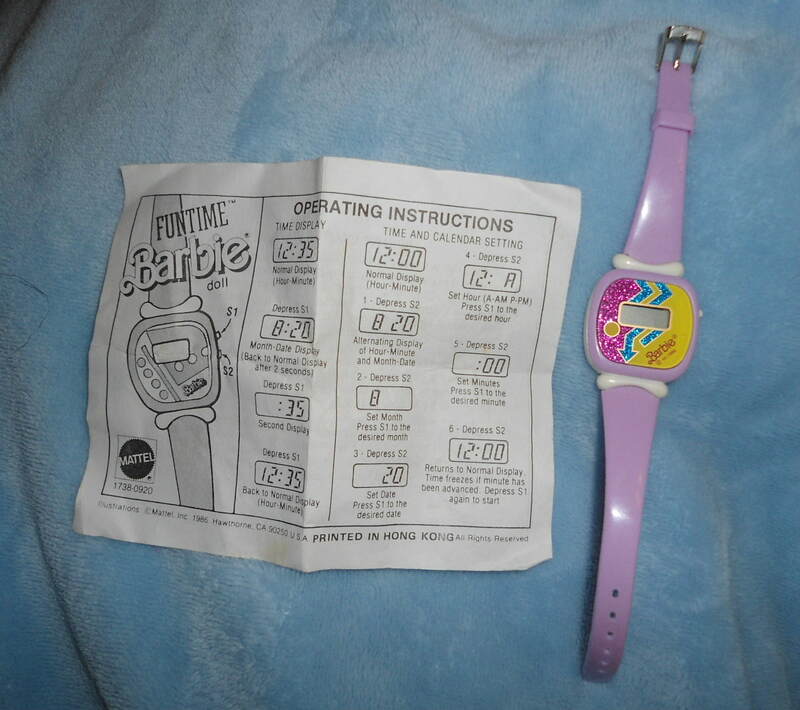 This is a new, never used or worn (but for the auction picture) Genuine Mattel Barbie watch from the 1990s!! May have some marks and fading due to age. No longer working, but may only need new watch battery. Sold as is. Non-working currently condition. 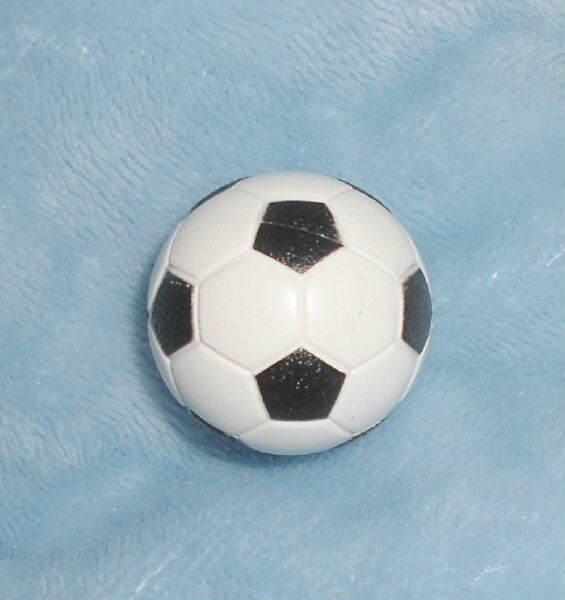 Designed for children or adult with very small wrist size. For the ultimate Barbie collector!! Thank you! 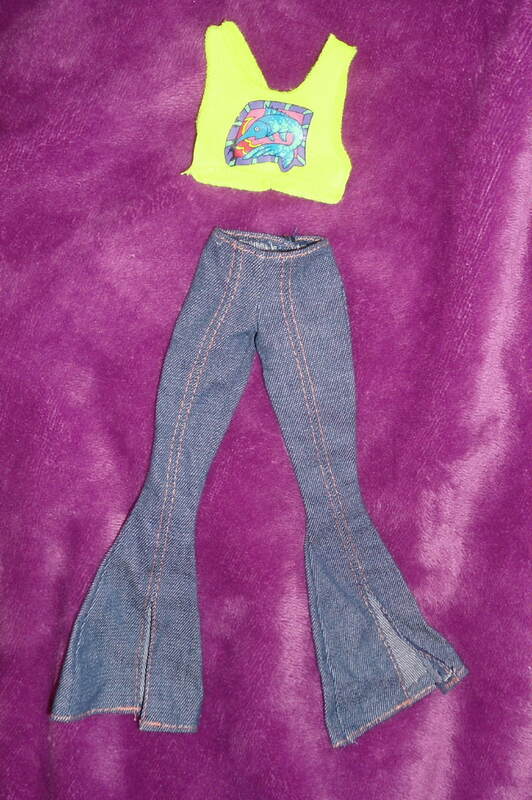 Fits 10" Monster High Girls! In new condition. 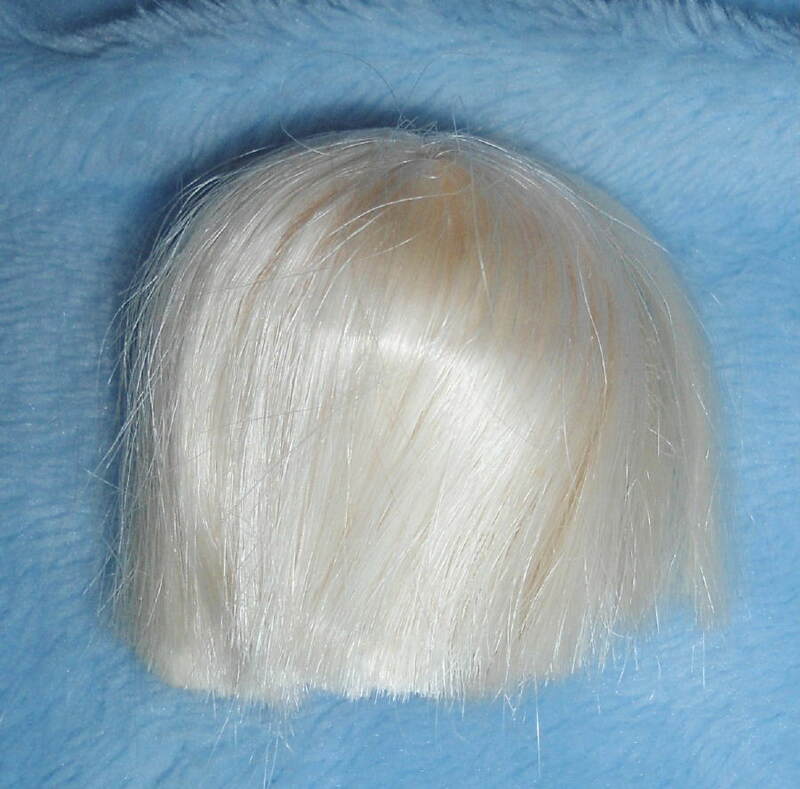 Just removed from new doll. Vest Made by Irwin Canada. Rare! 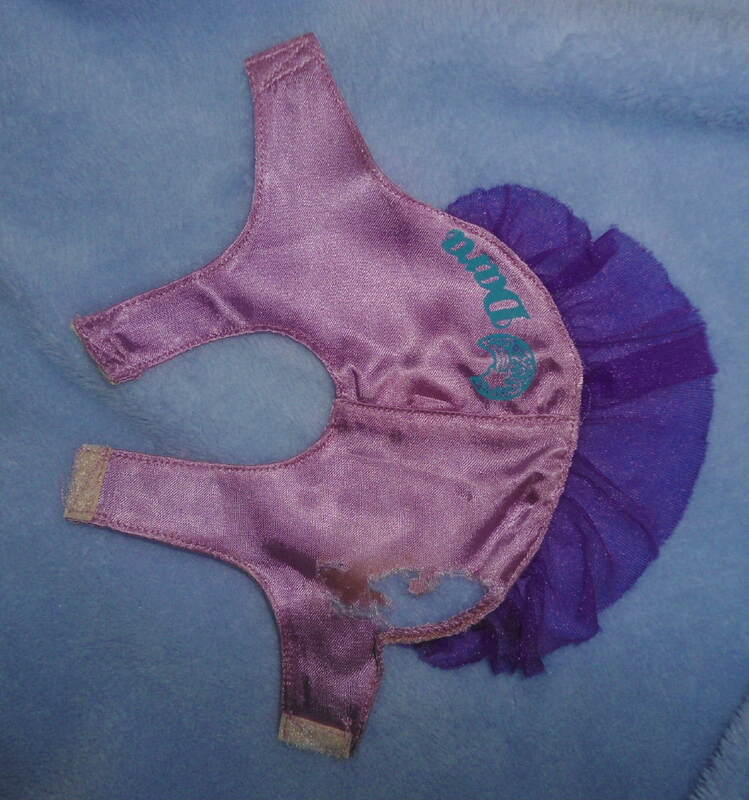 Skirt is unbranded and has some signs of age/fading. Cute!